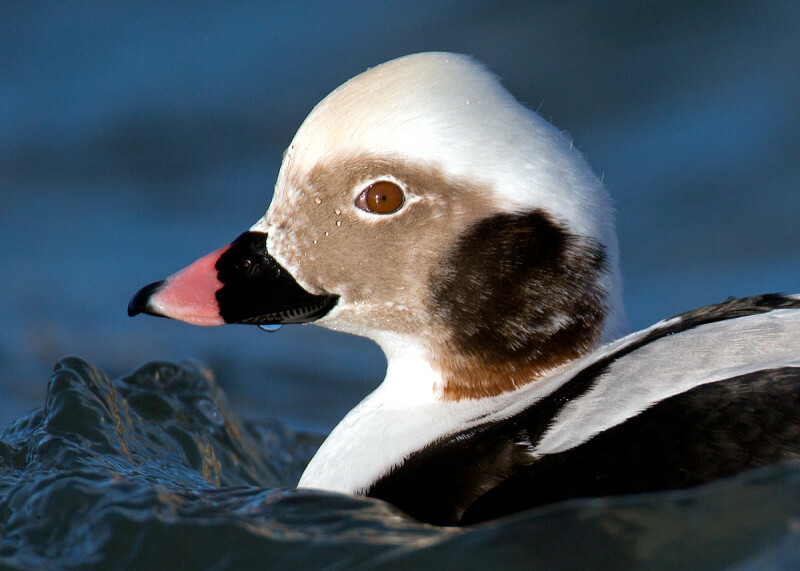 Dependant on weather and tides it is possible to photograph a range of Sea duck from our sea duck photography guiding days, including the delightful Long Tailed Duck – at close range. 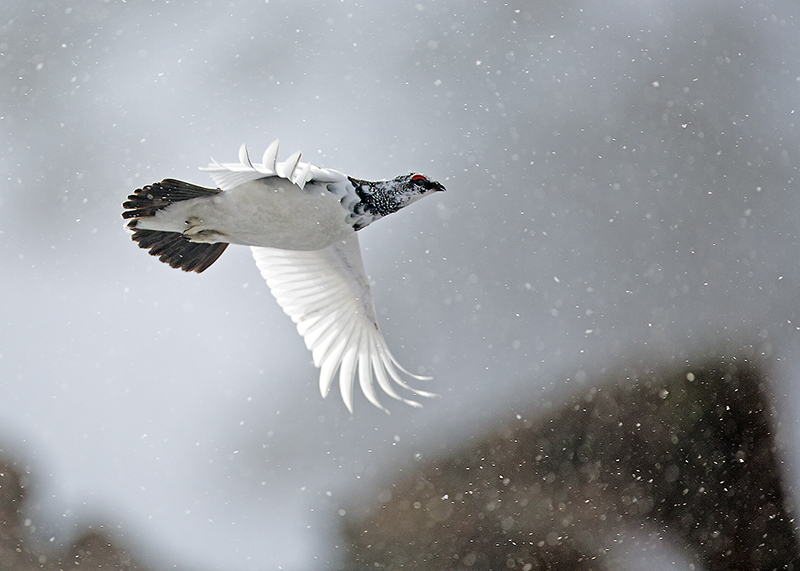 Understanding where to go based on light, wind, tide and time of year we will take you to the right places to photograph a range of species. 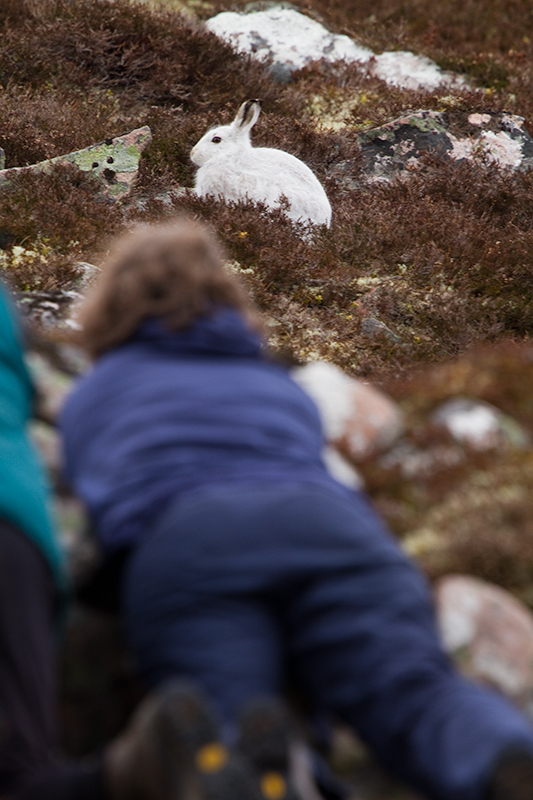 This day focusses on getting as close as we can to the usually distant sea ducks. 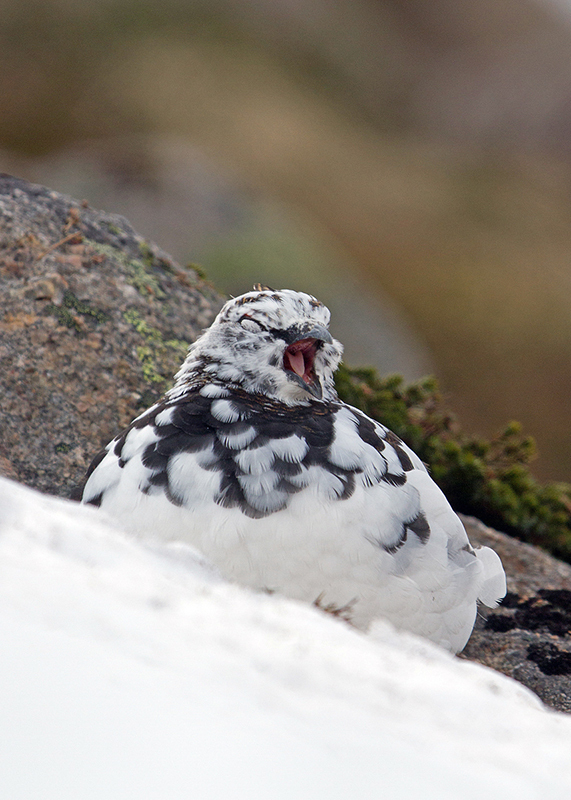 Our clients have been able to photograph Common and Velvet Scoter and we have also found (and photographed) King Eider, Little Auk and White Billed Diver as part of these guided days. 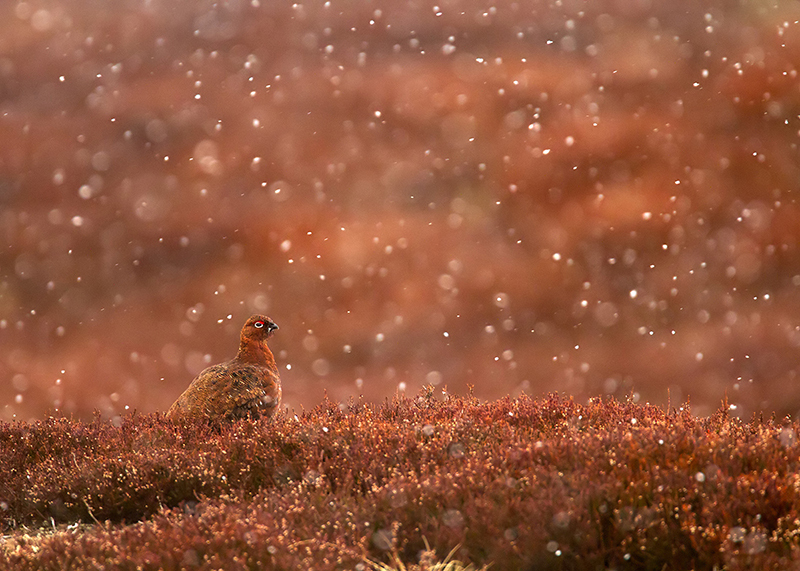 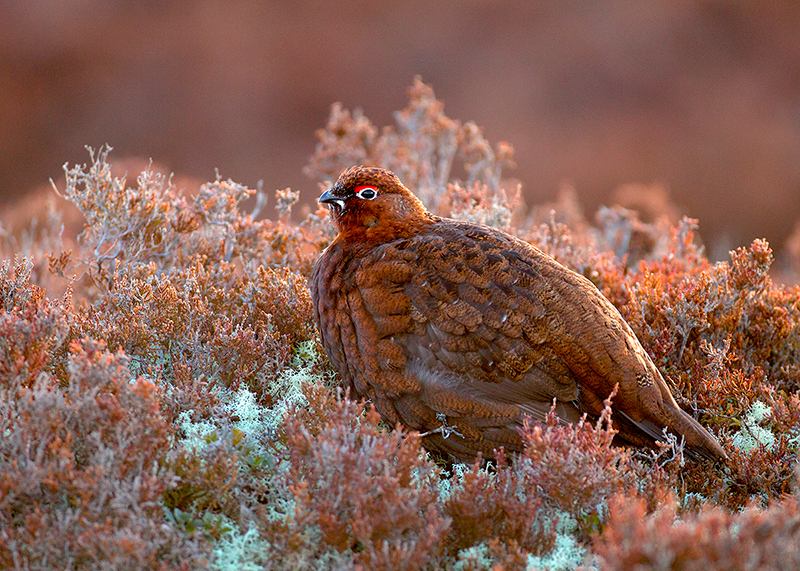 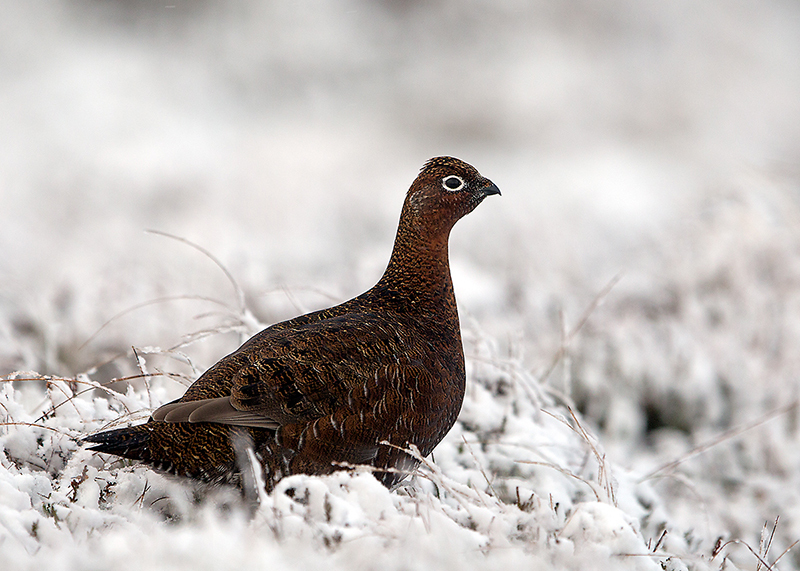 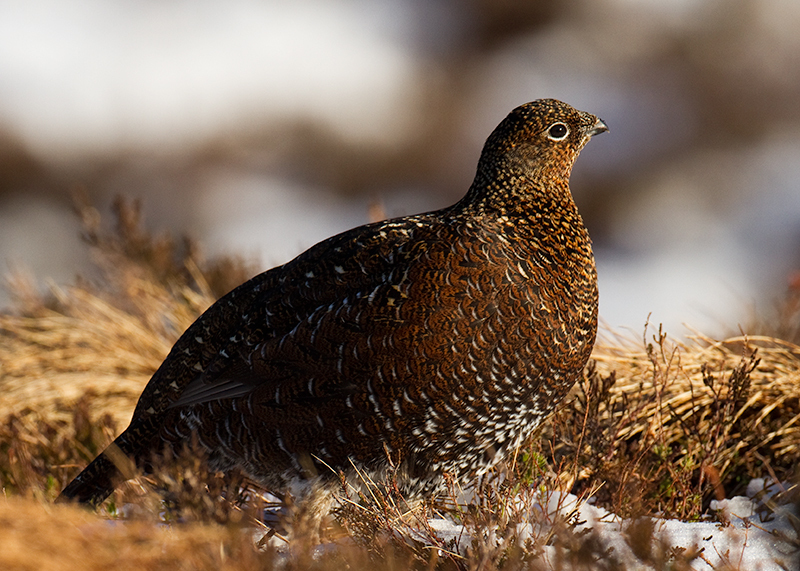 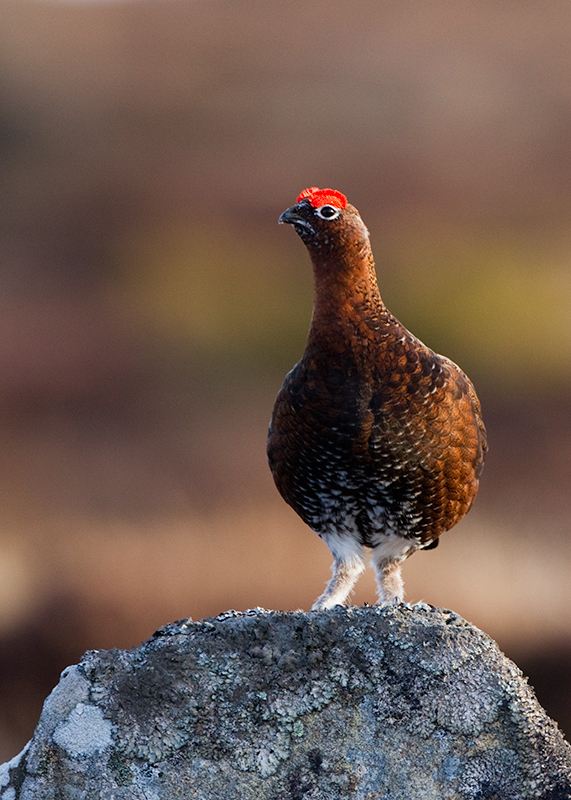 Red Grouse are one of the most charismatic birds that can be photographed in the Scottish Highlands. 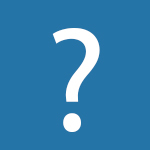 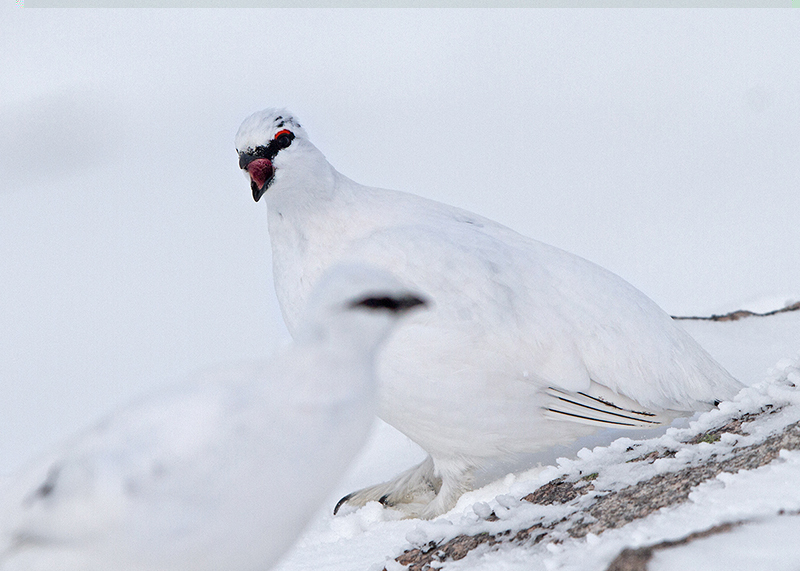 Several sites provide easy access and a range of possibilities to obtain a variety of images. 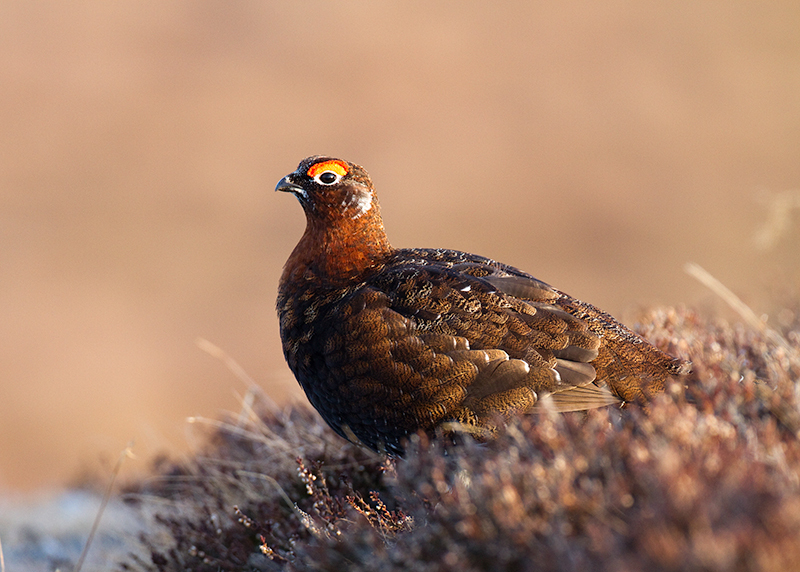 March is a great time to photograph Grouse as the males can be particularly feisty, as well as summer when the young Grouse are fledging and the Heather starts to bloom. 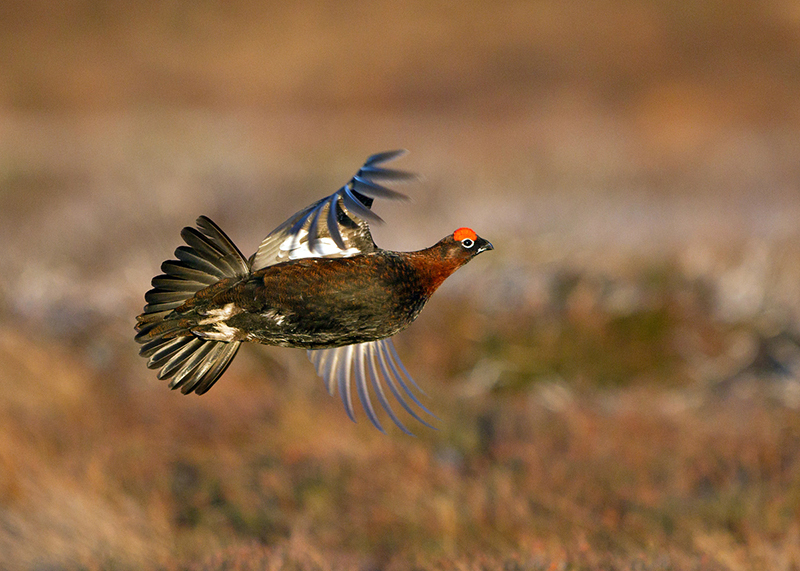 In recent years we have also found a good area to photograph Grouse in flight. 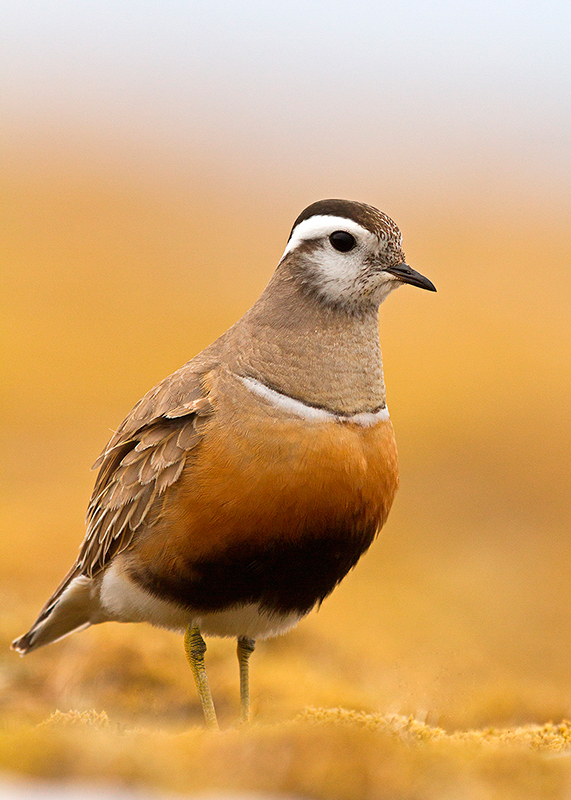 Following private guiding success in 2012 and 2013 we are running Dotterel Photography Workshops in the Cairngorms and in a mountain range north of Inverness, depednant on mnumbers at each site. 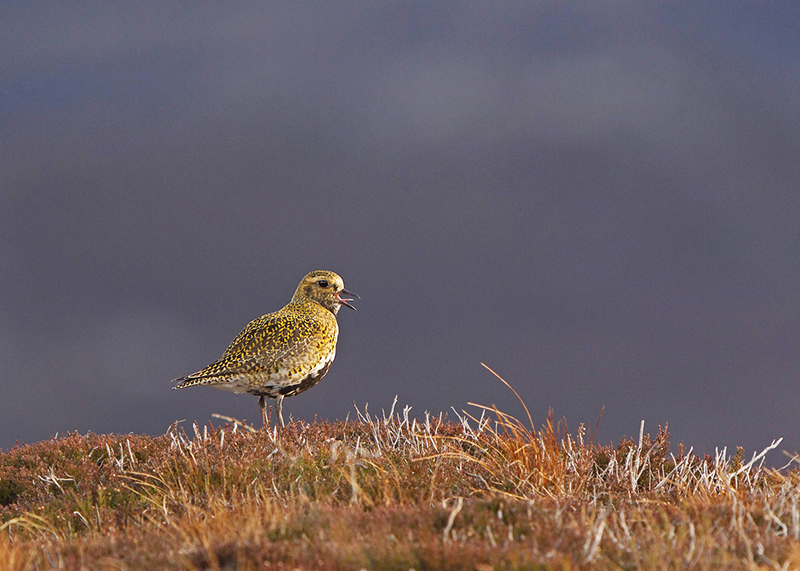 Whilst Dotterel are schedule one birds their obliging nature means that photography is often possible wihtout disturbing these charming waders. 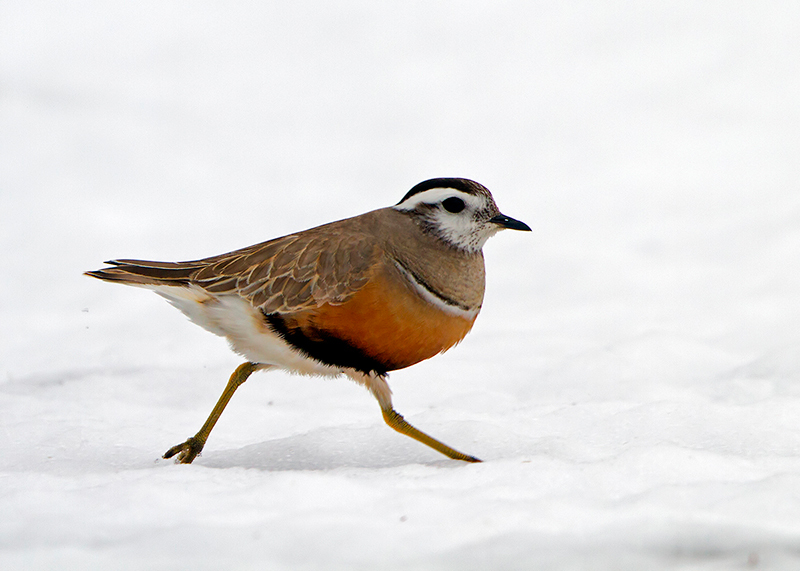 Dotterels are most active shortly after arrival and before nesting as females compete for the attention of males and our clients have captured fantastic images of birds in the snow and courting. 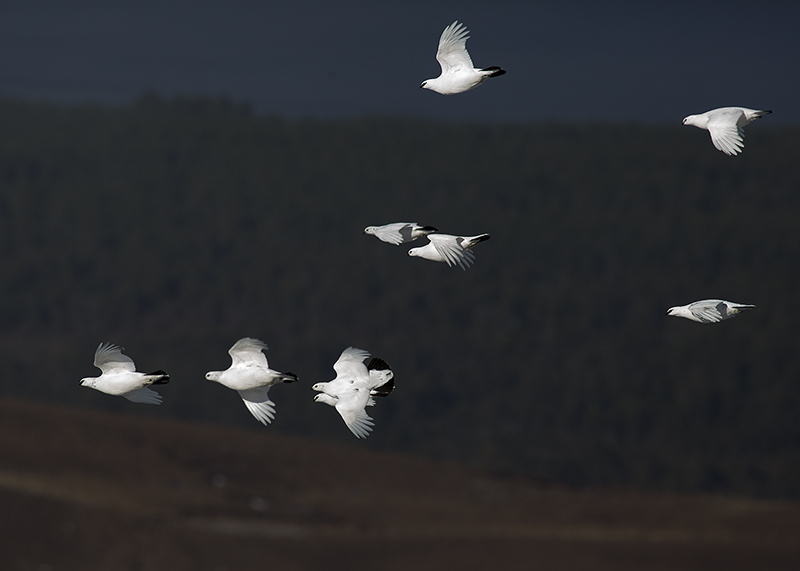 This workshop could be combined with extra days guiding for Redstart, Mountain Hare, Dipper, Checkered Skipper, Bottlenose Dolphin or one of the Osprey hides in Aviemore. 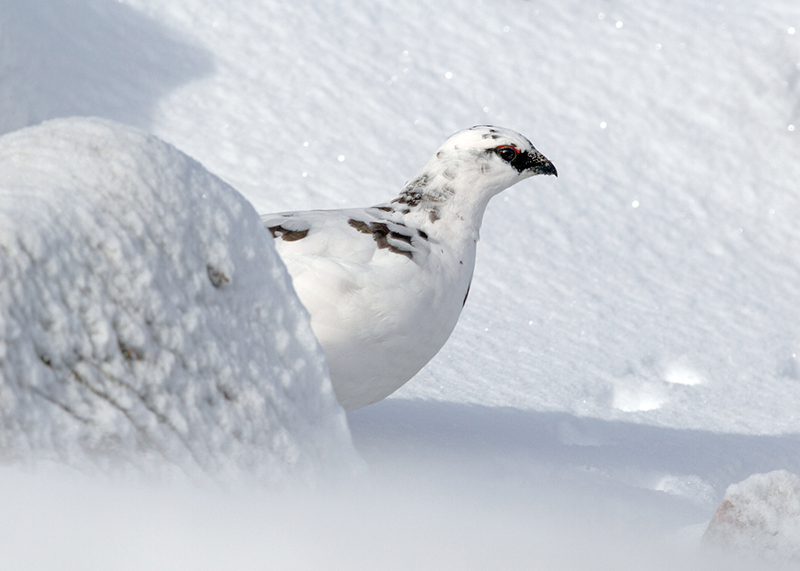 We often see Ptarmigan in the same areas as the Dotterel, at this time of year they are normally in their summer plumage. 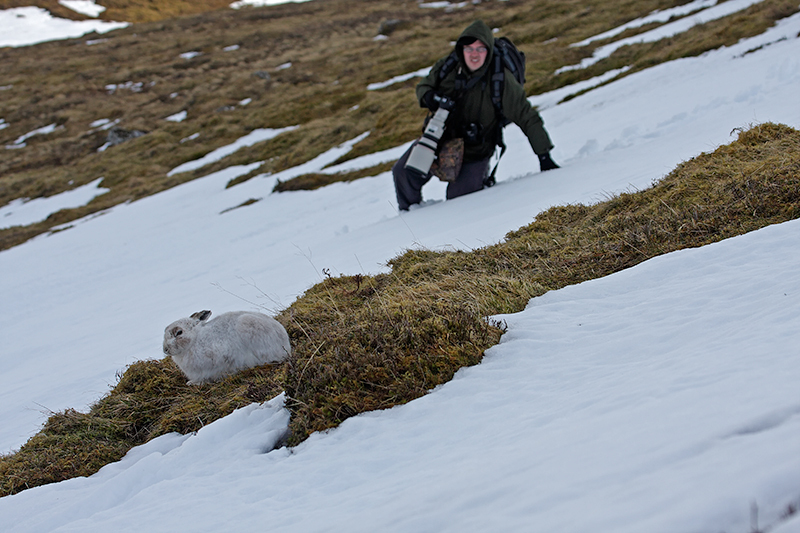 Please note this workshop requires a day of hill walking. 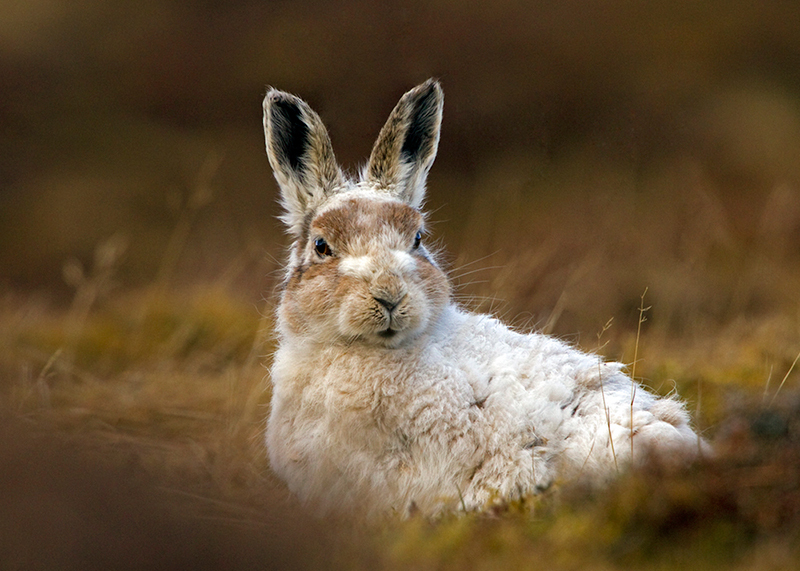 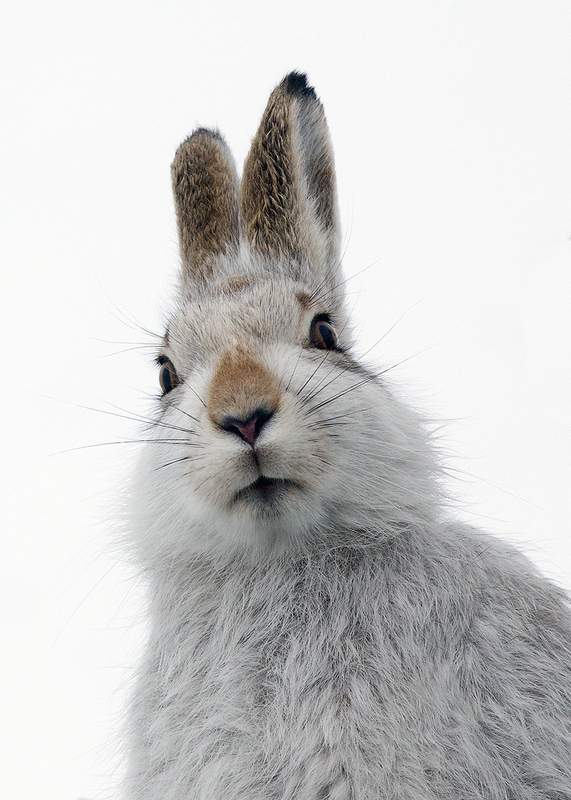 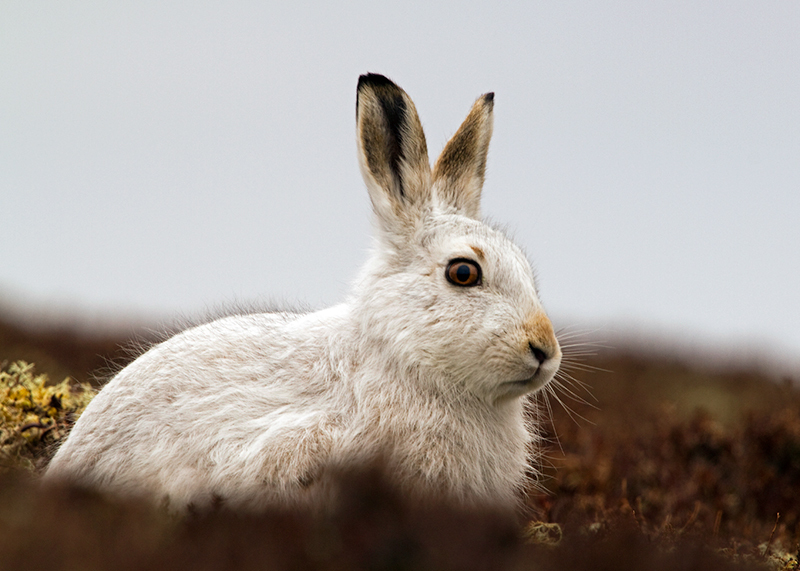 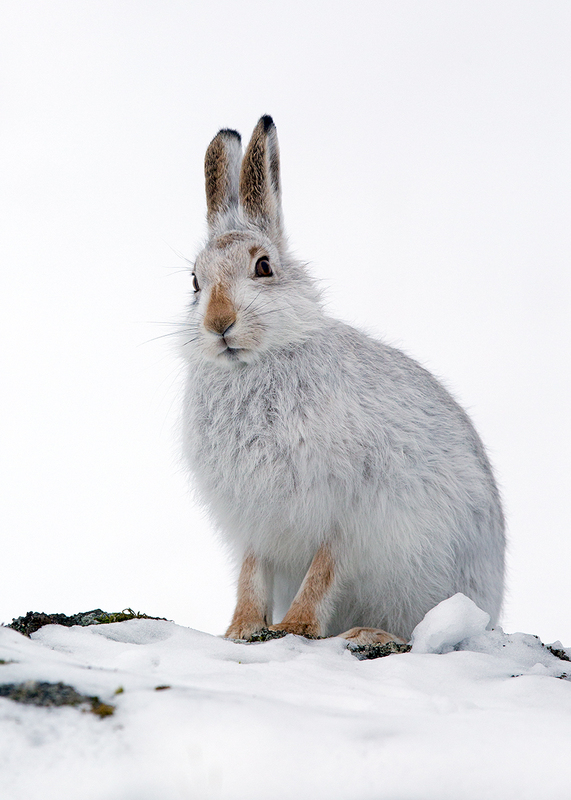 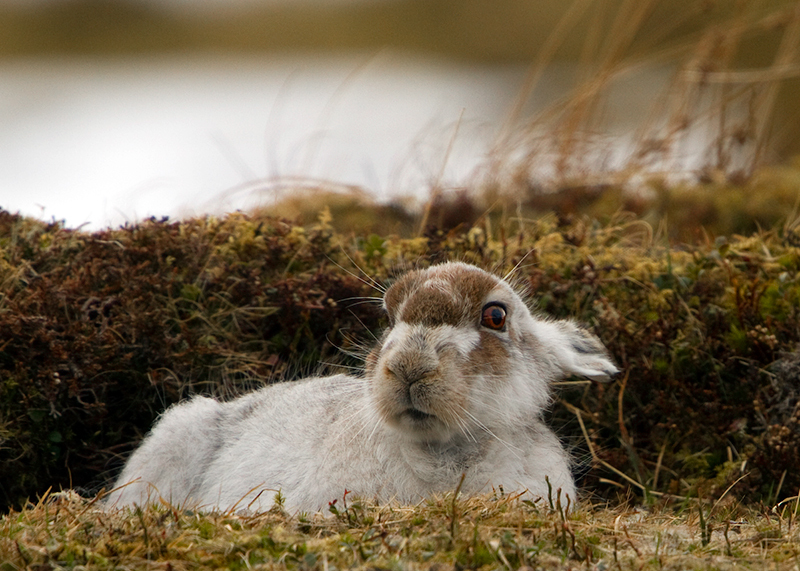 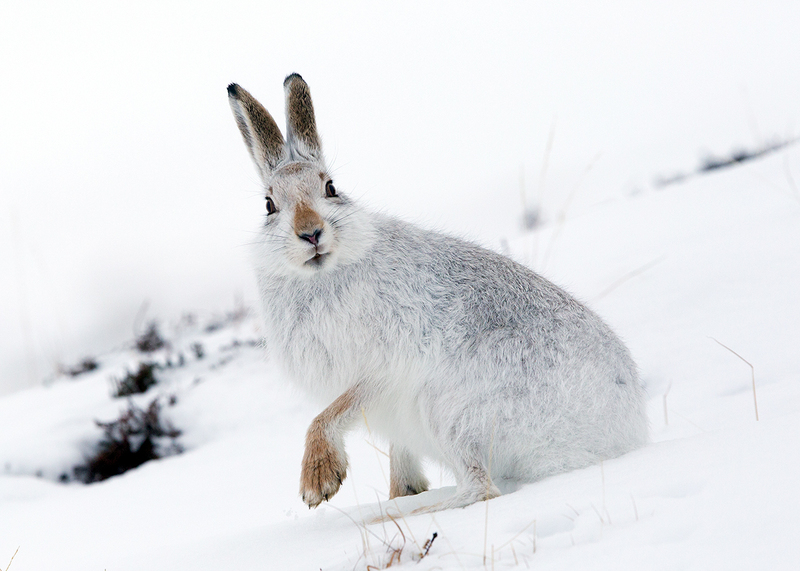 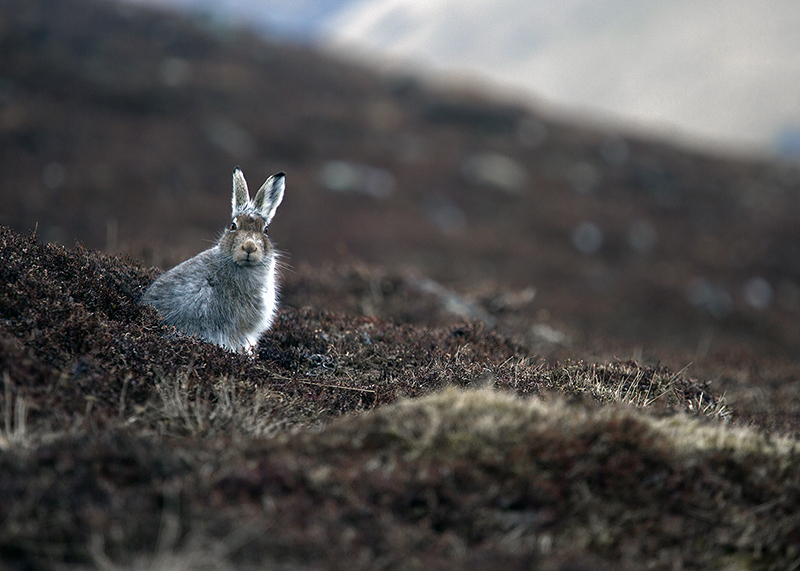 We have been taking groups of photographers to capture Mountain Hare for several years at a range of Highland locations. 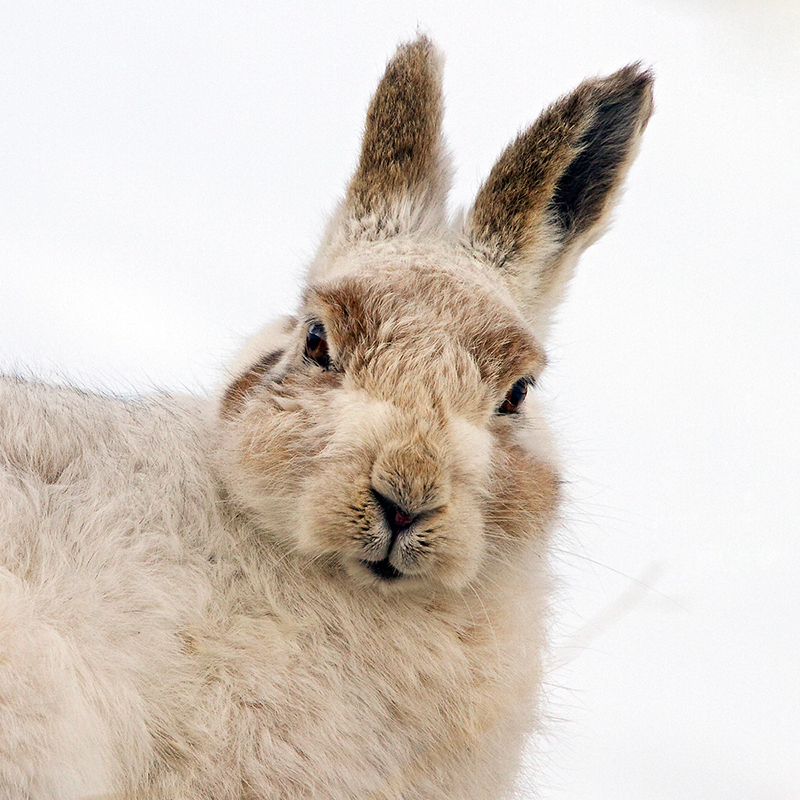 We will show you how to get close to these fantastic creatures – though that is often determined by the Hare itself – they are runners or sitters! 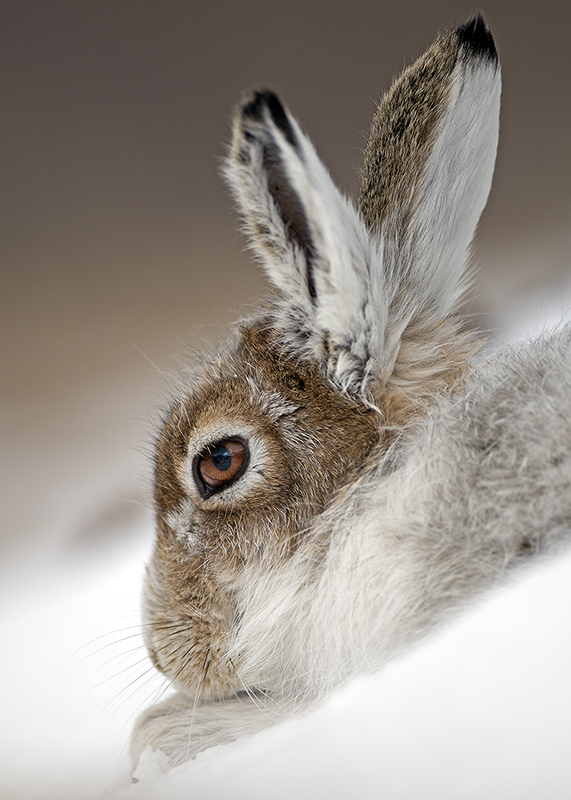 We can use three or four different locations depending on the type of shots required from sleepy sitting Hares within easy reach or to other secret locations. 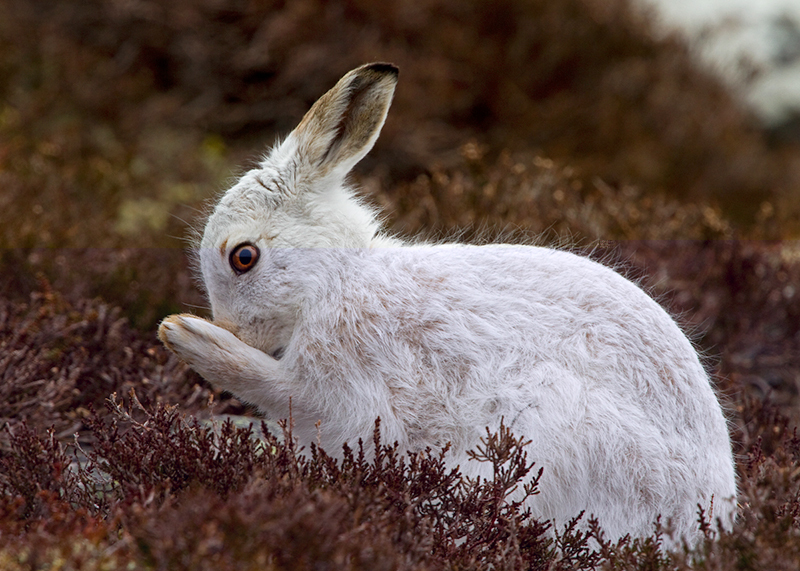 For example another moorland hill that has over 200 Hares (but requires a three mile walk.) 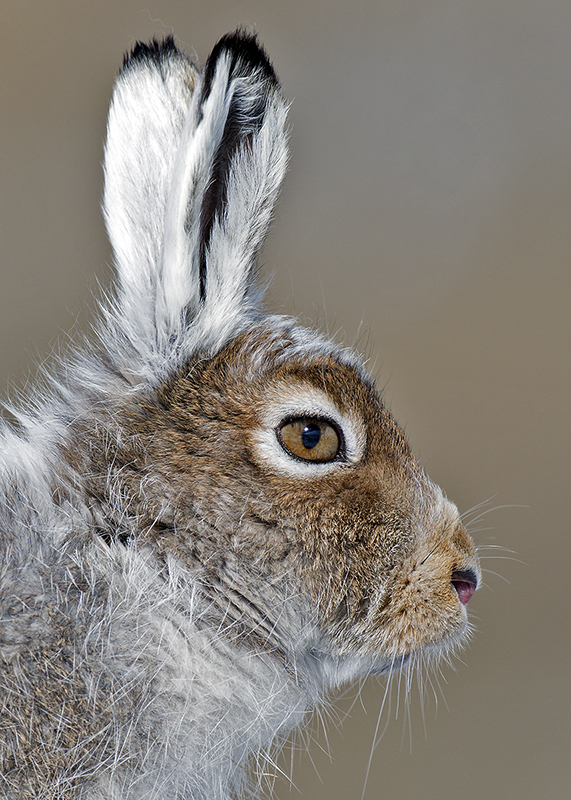 Some of our clients have been lucky enough to see and photograph the Hares boxing on more than one occasion please contact us to find out the best times to photograph this. 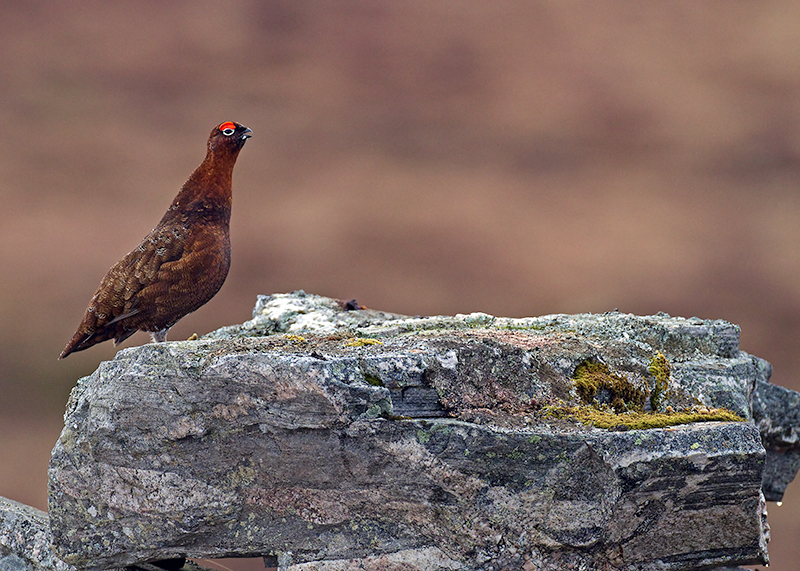 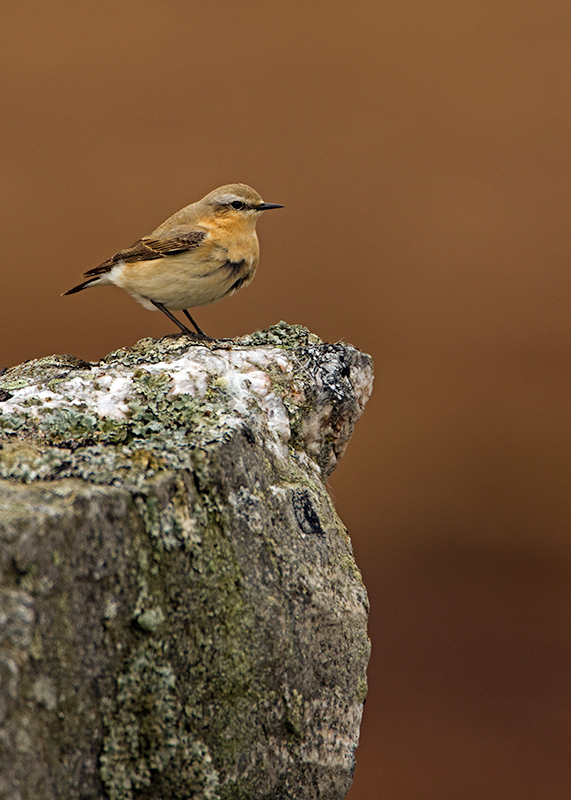 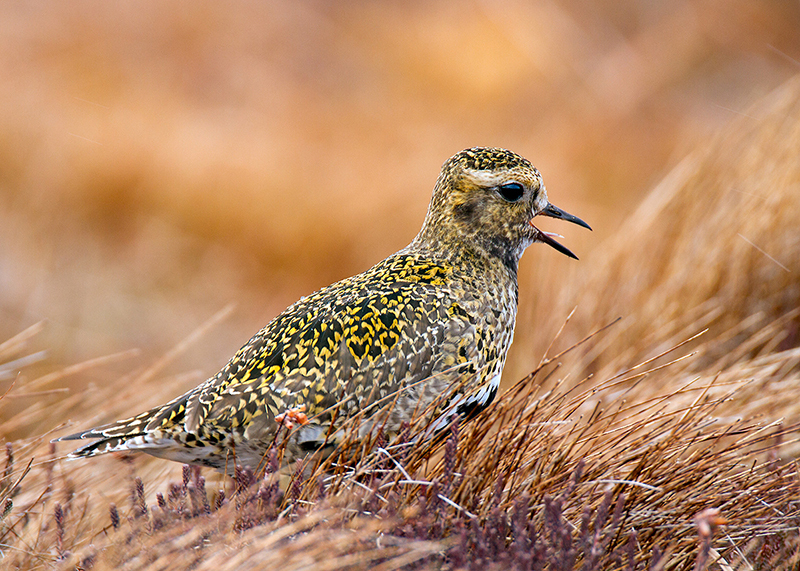 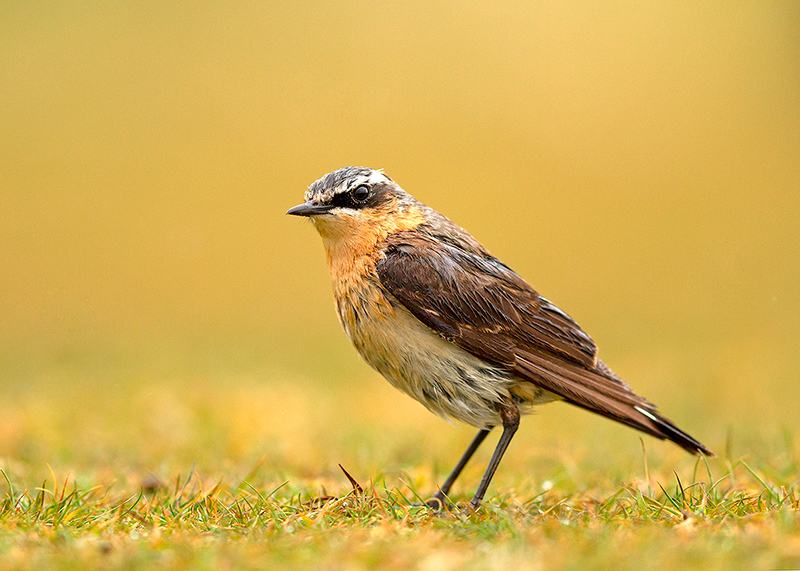 Our bird and wildlife photography guiding and bespoke photography days in Scotland are carefully selected to provide a relaxed and wildlife-rich environment that provides you with the best chance to take photographs and trial new skills and techniques. 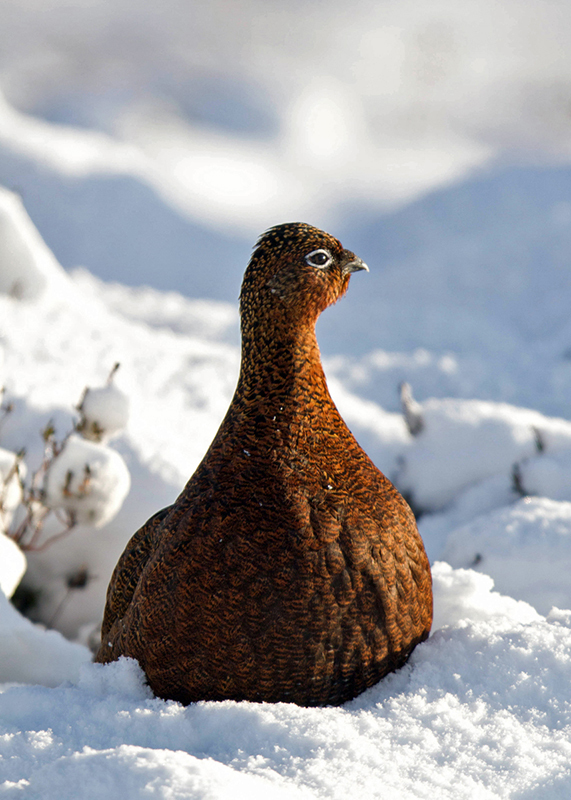 We also offer one-to-one bespoke bird and wildlife packages for one day or longer. 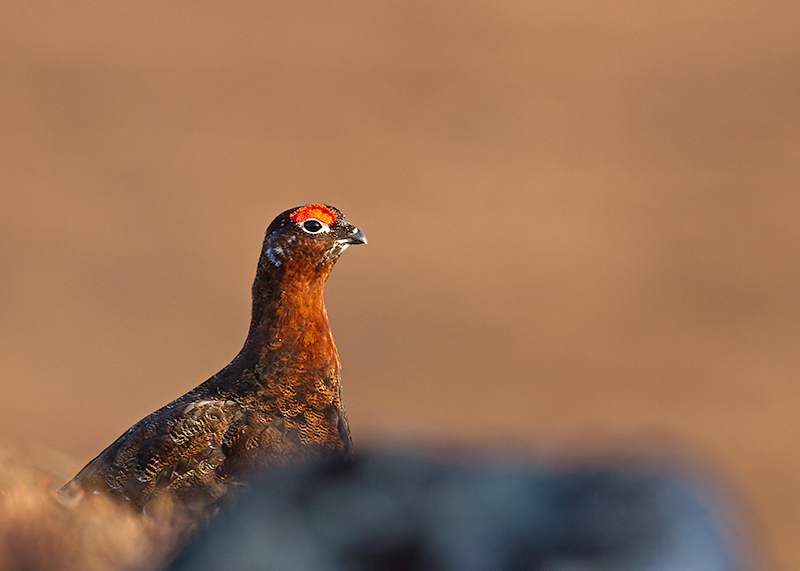 These are ideal for photographers with a limited amount of time and/or a lengthy list of target species. 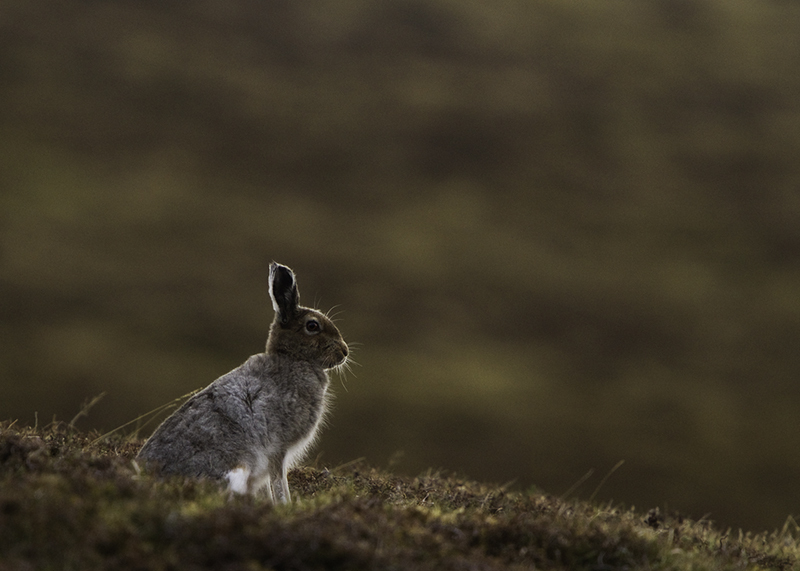 One-to-one workshops start from £200 and you will get our time from dawn until dusk. 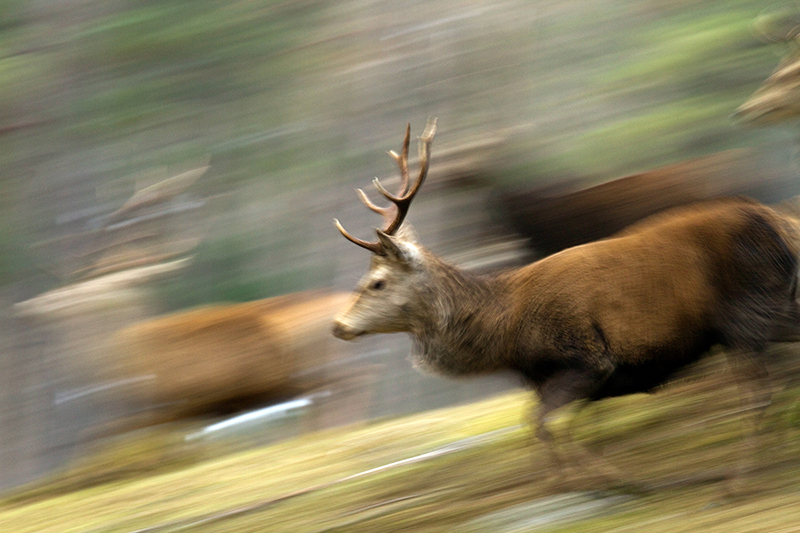 If we are covering a lot of miles on the day we may ask for an additional contribution towards fuel expenses. 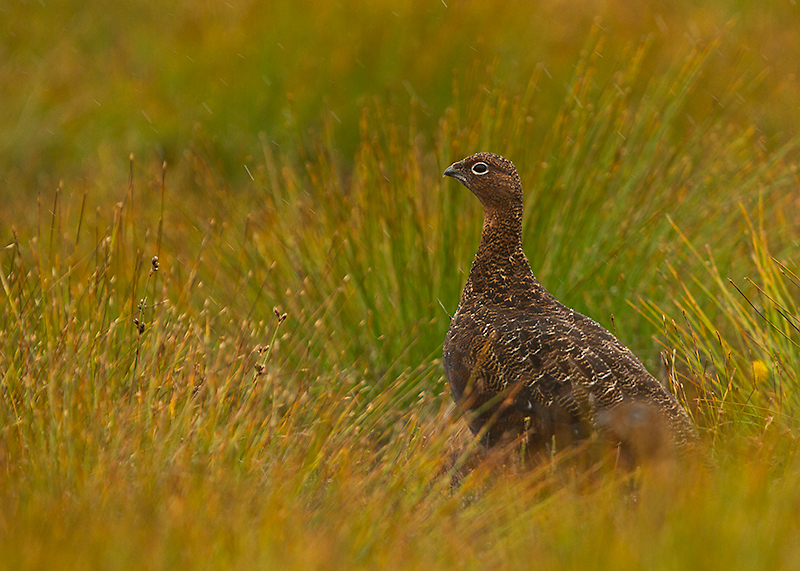 Please contact us for more information about dates and the best time of year to add that new shot to your portfolio. 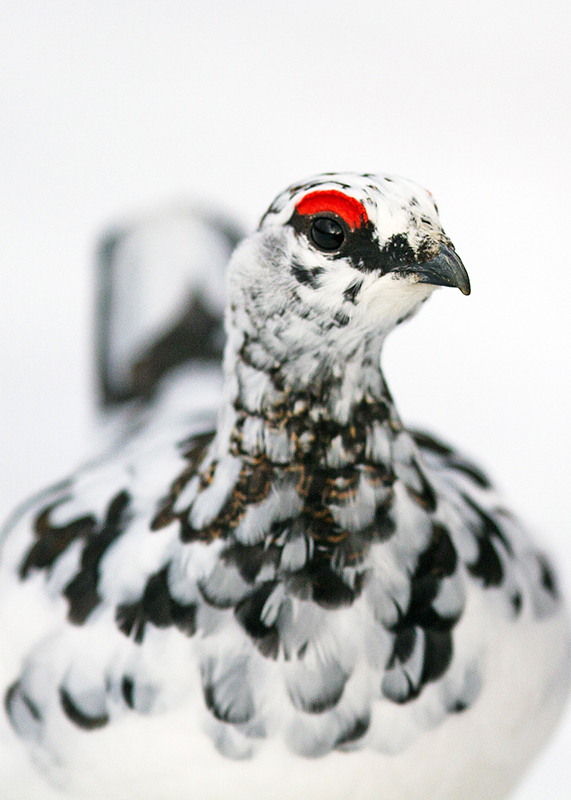 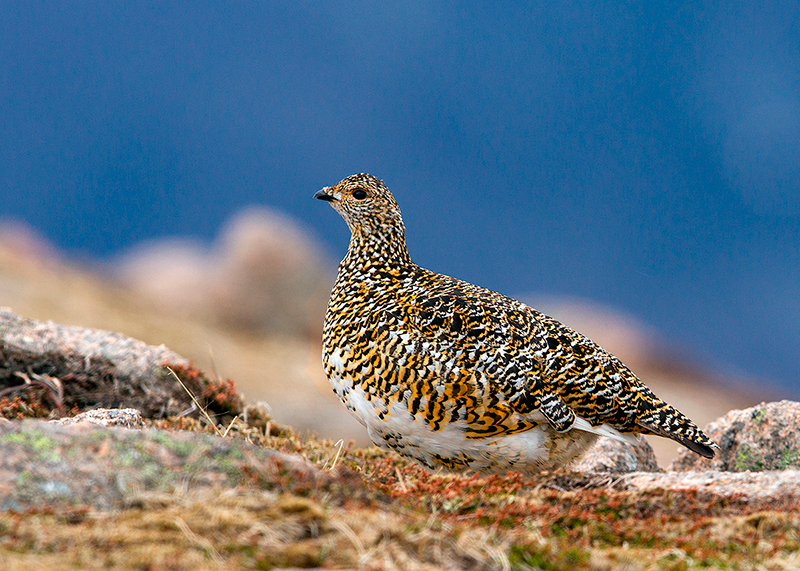 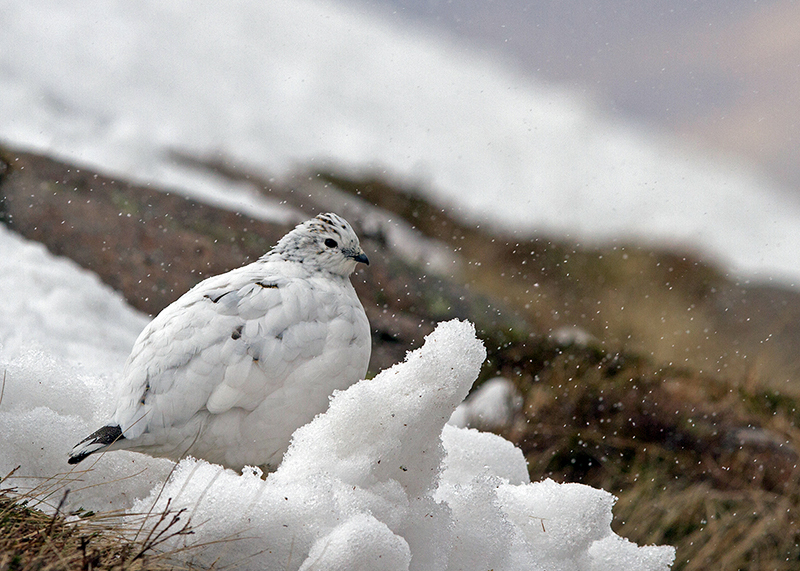 Ptarmigan are without doubt our favourite subjects and we have enjoyed taking clients into the hills over several years. 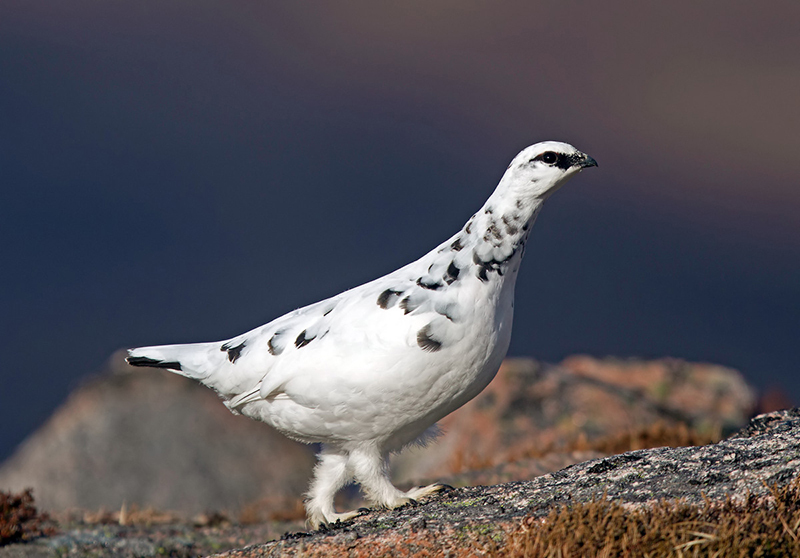 The climb itself can be spectacular and if we find Ptarmigan they can often be very rewarding and it can be possible to spend several hours in the company of these superb birds. 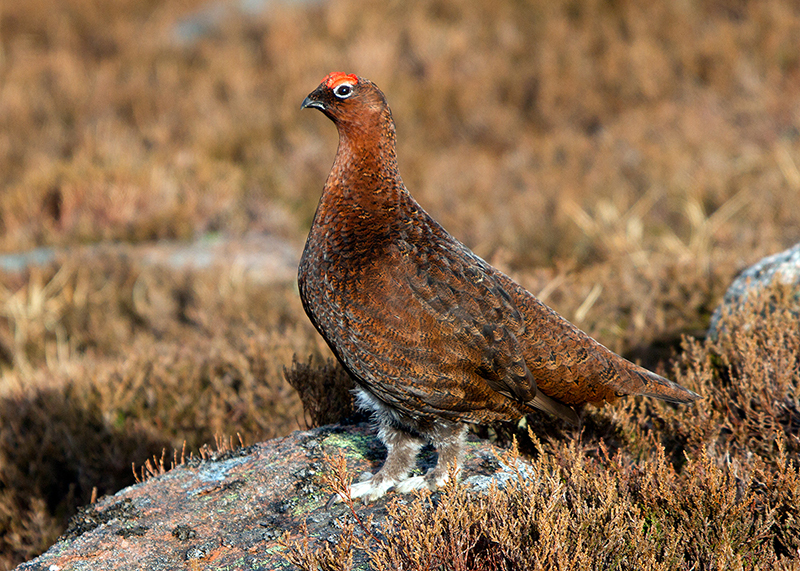 A day spent on the Cairngorms is often truly unforgettable as we search for these specialist species of the high mountains. 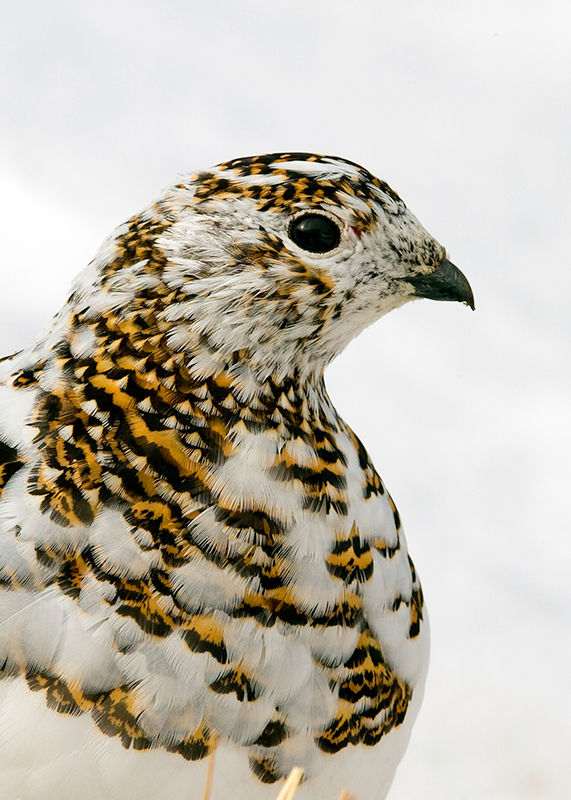 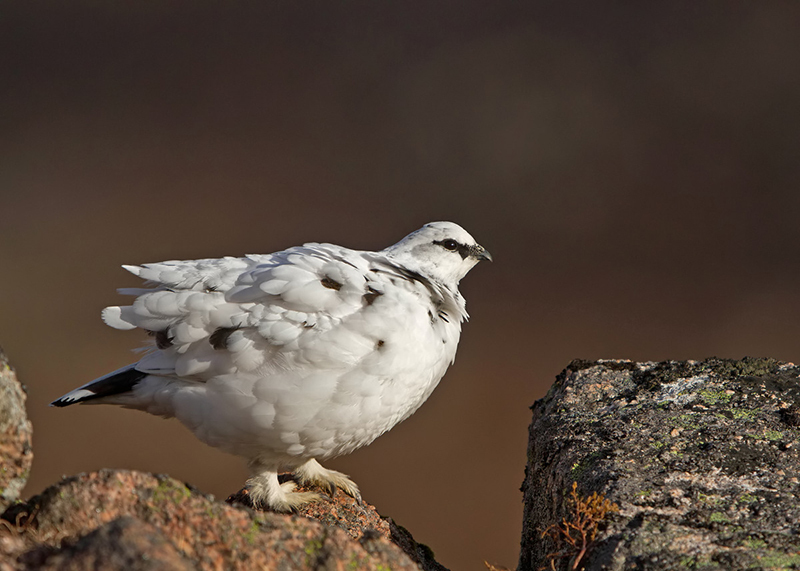 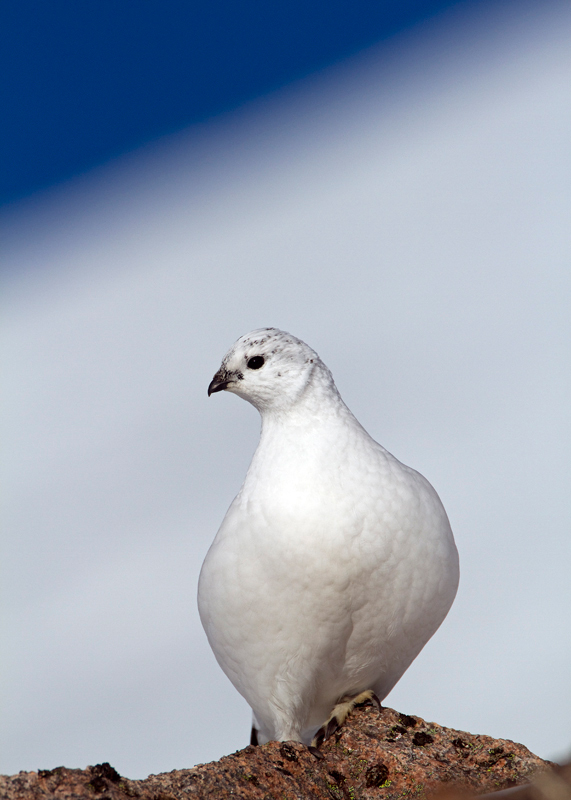 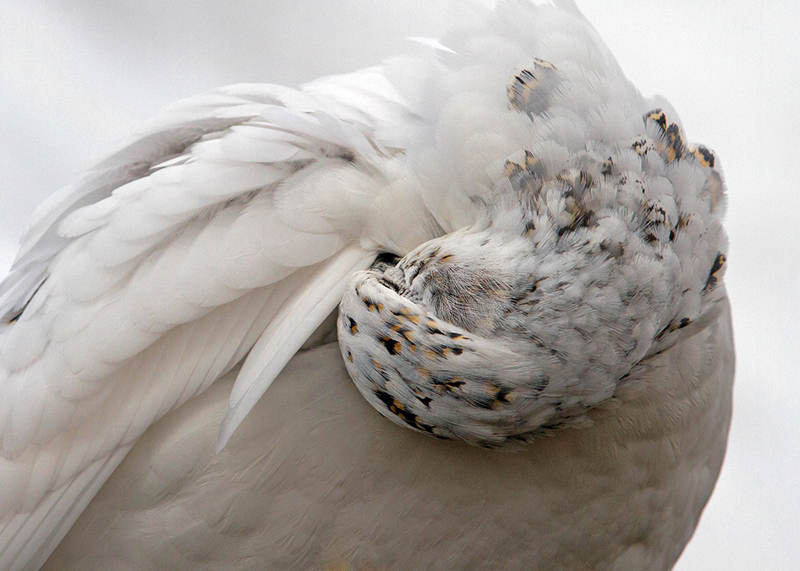 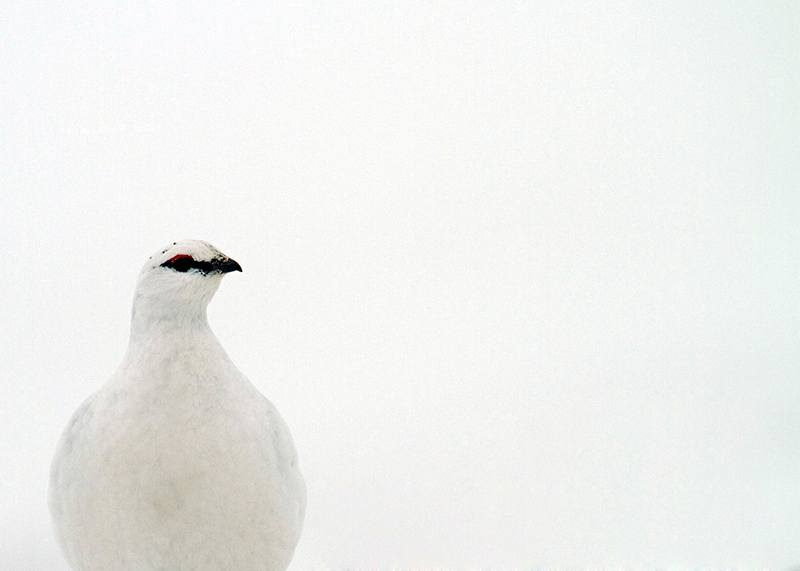 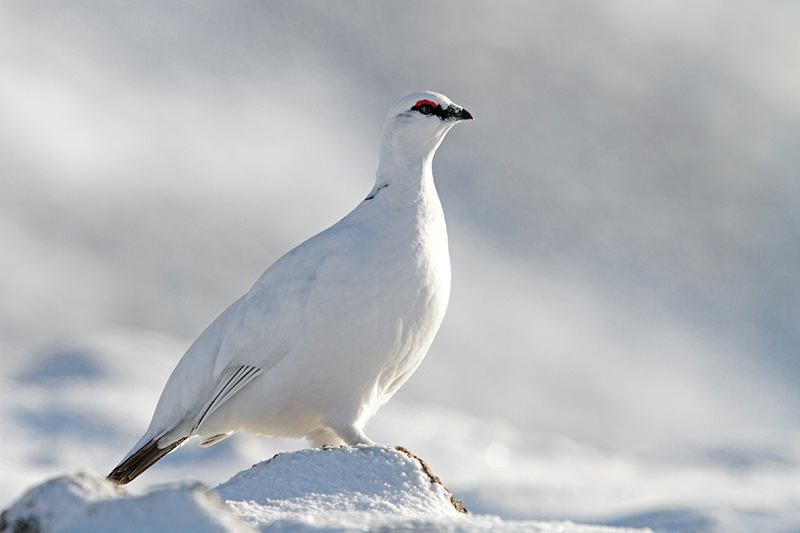 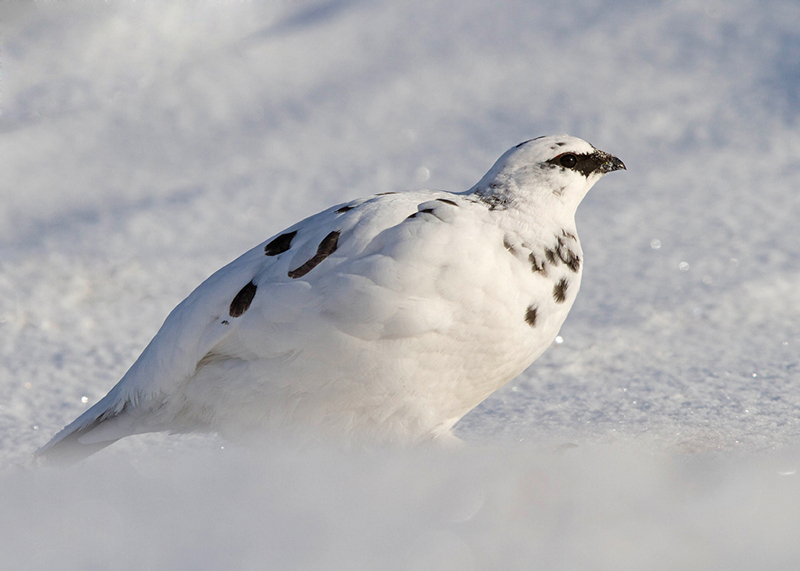 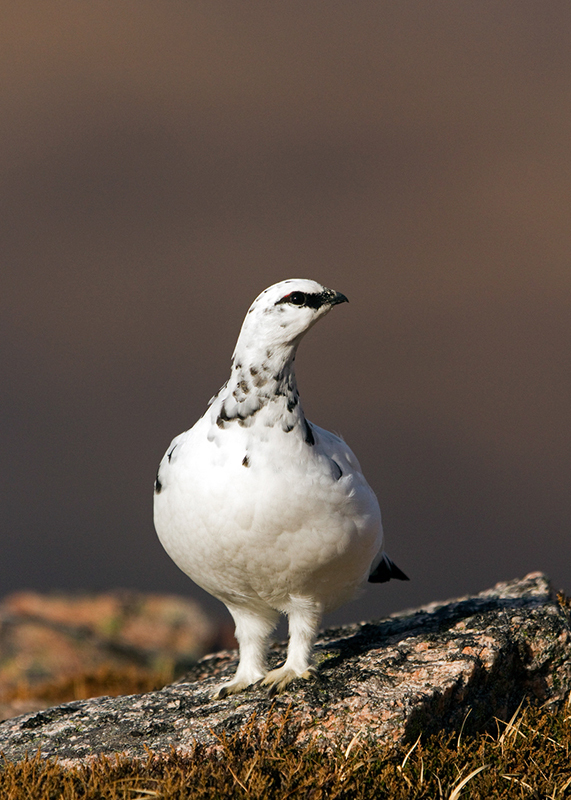 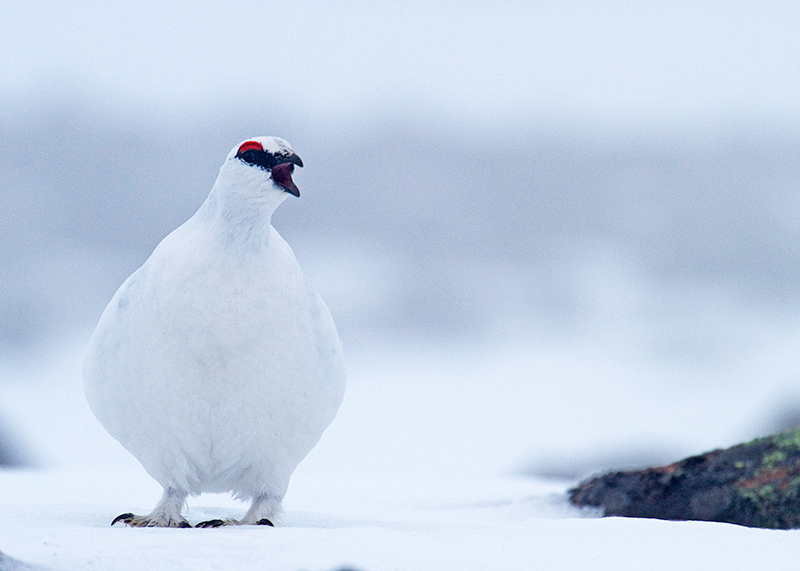 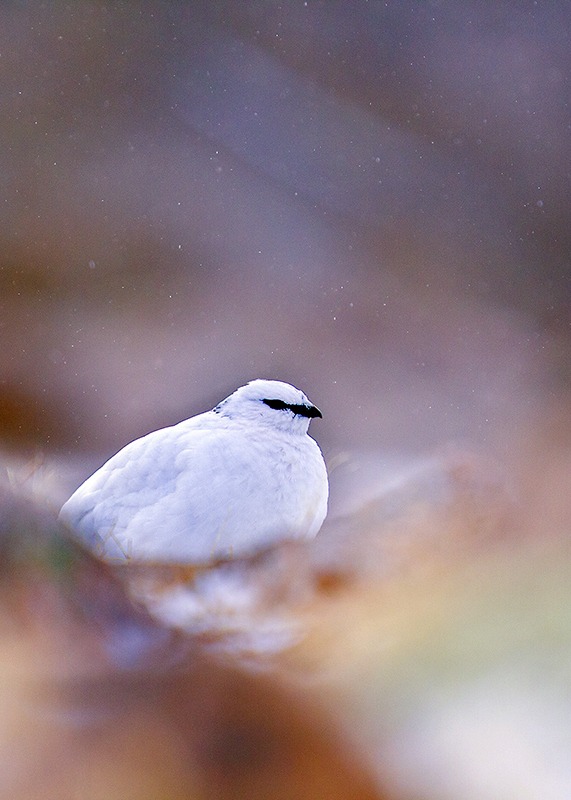 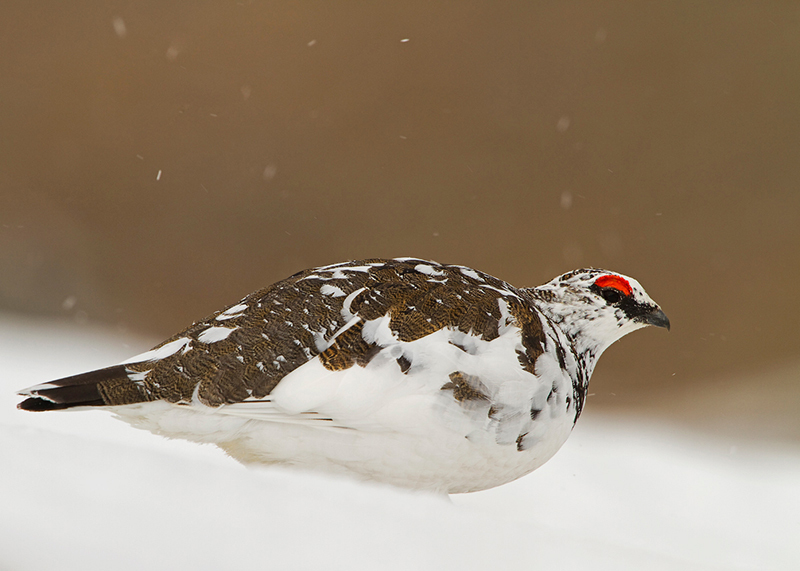 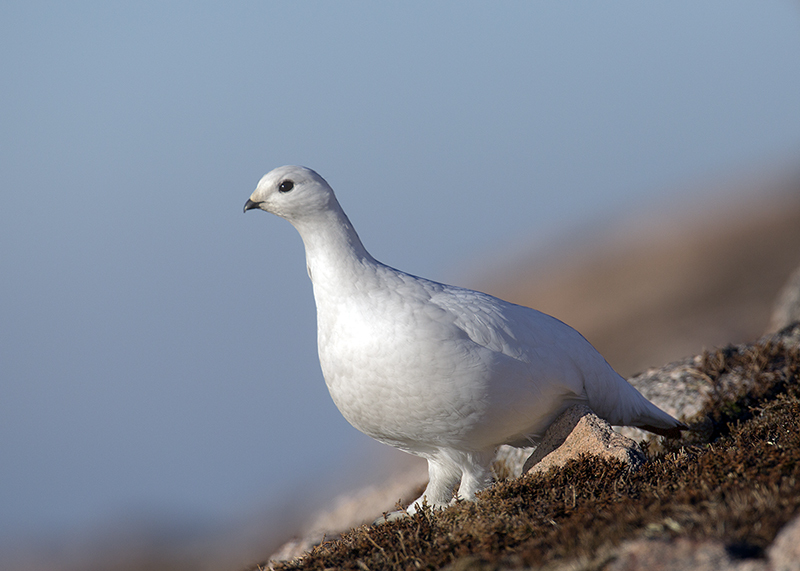 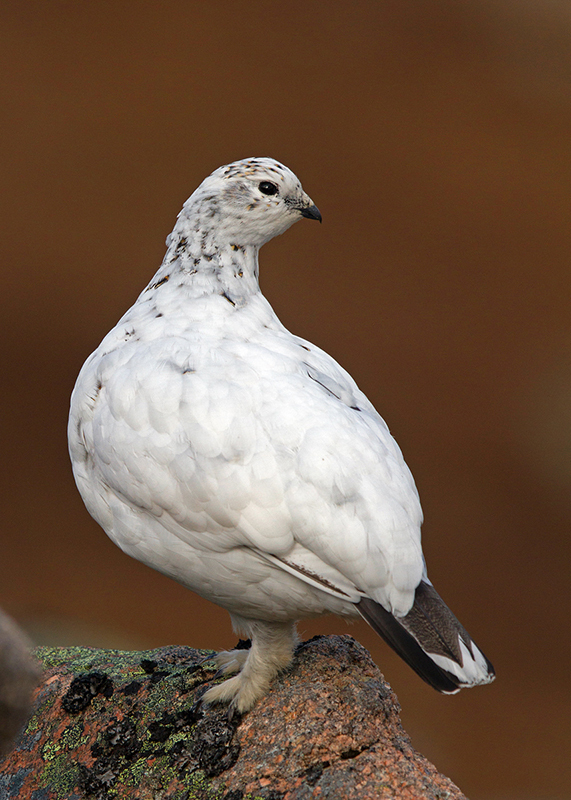 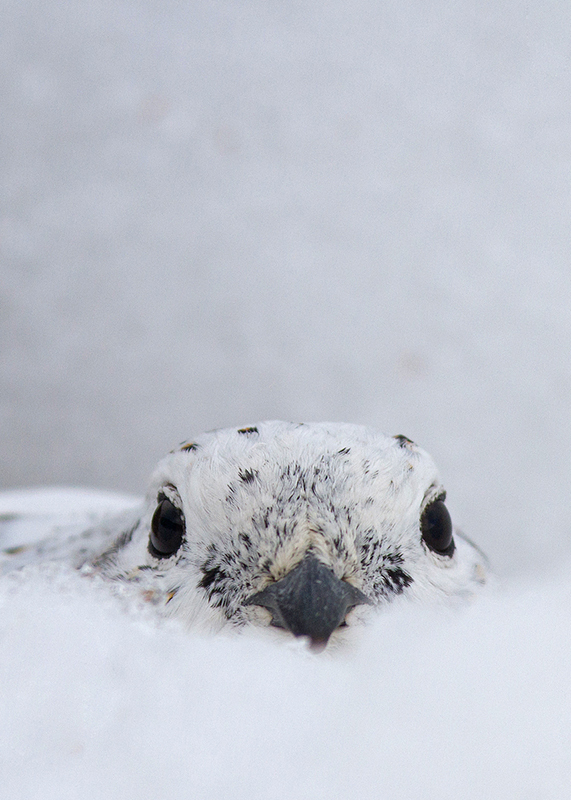 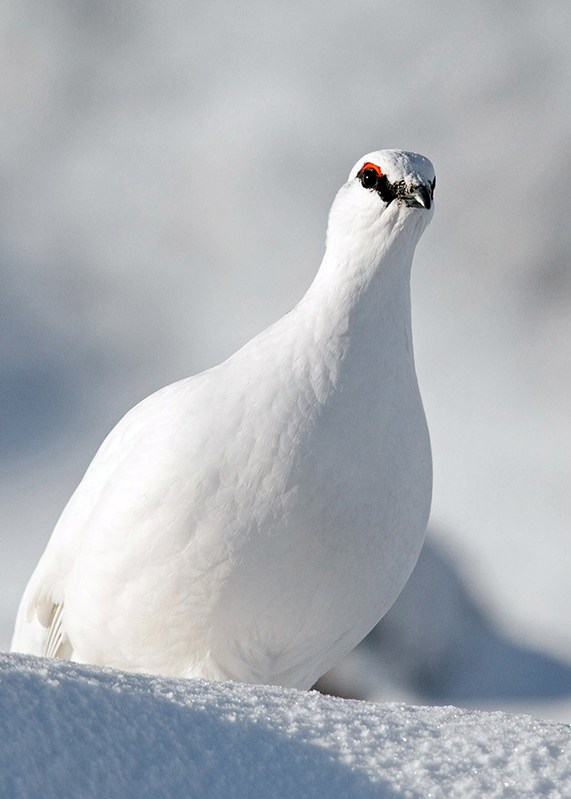 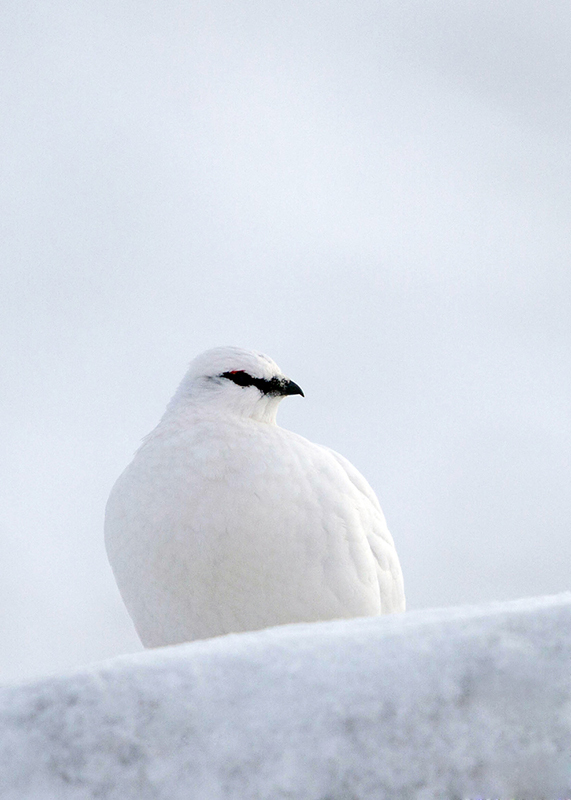 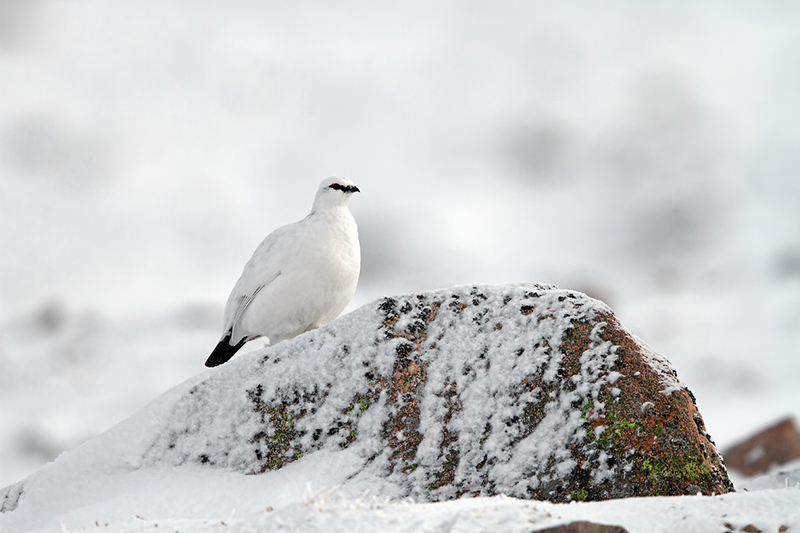 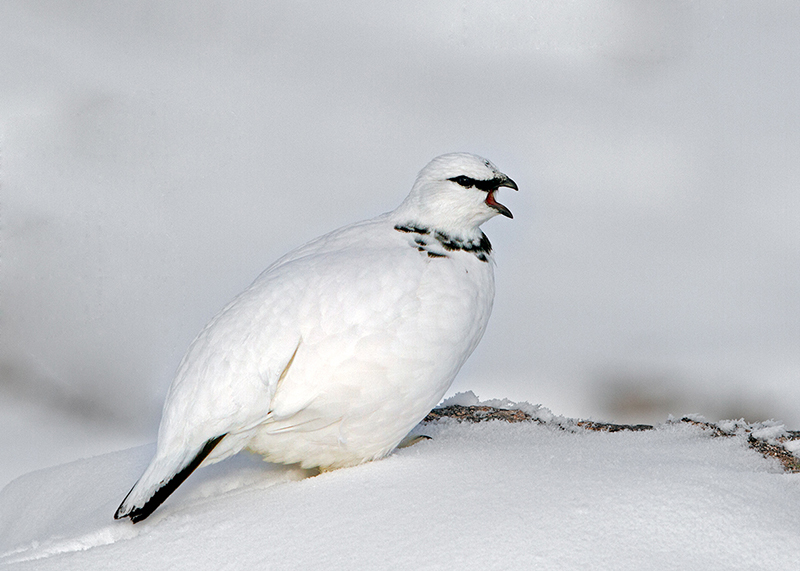 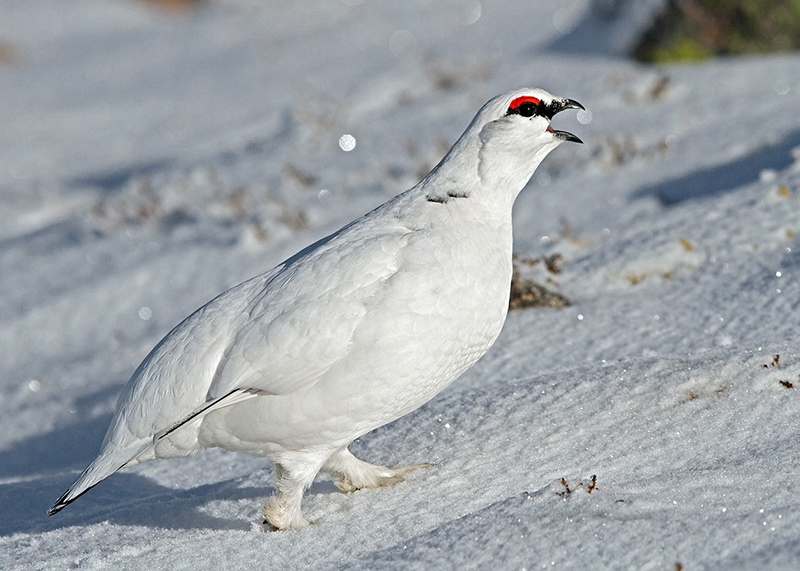 In winter, the Ptarmigan becomes totally white except for its tail and eye-patch. 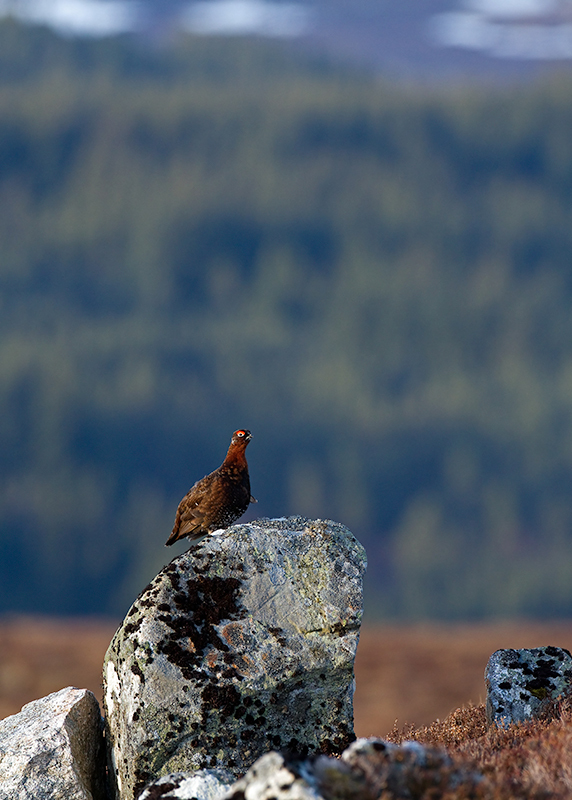 The highest mountains of the Highlands of Scotland are its only UK breeding ground. 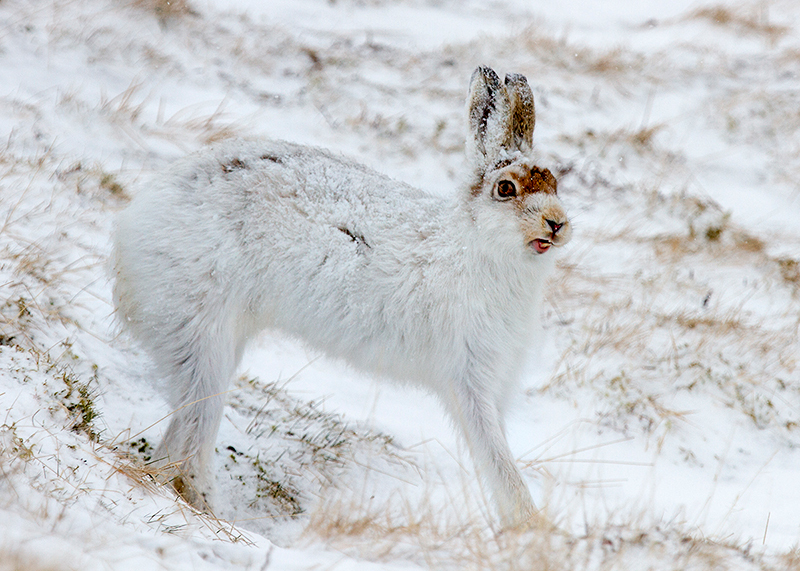 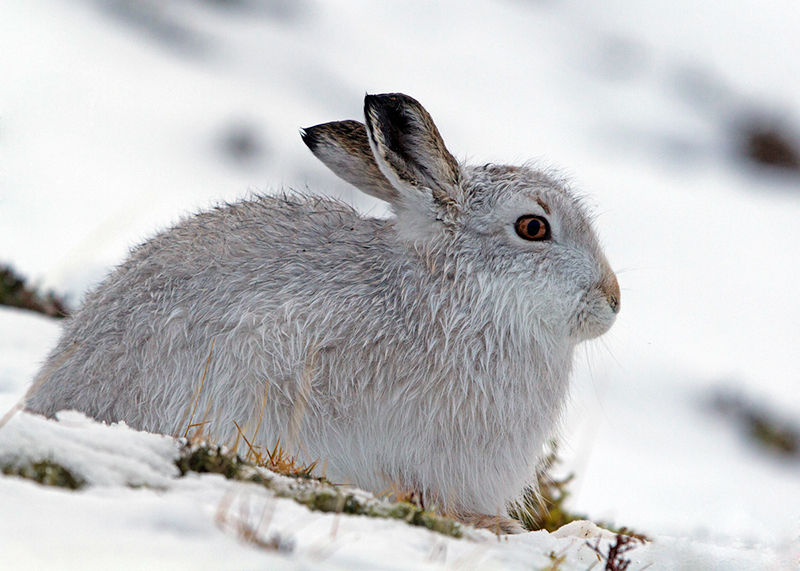 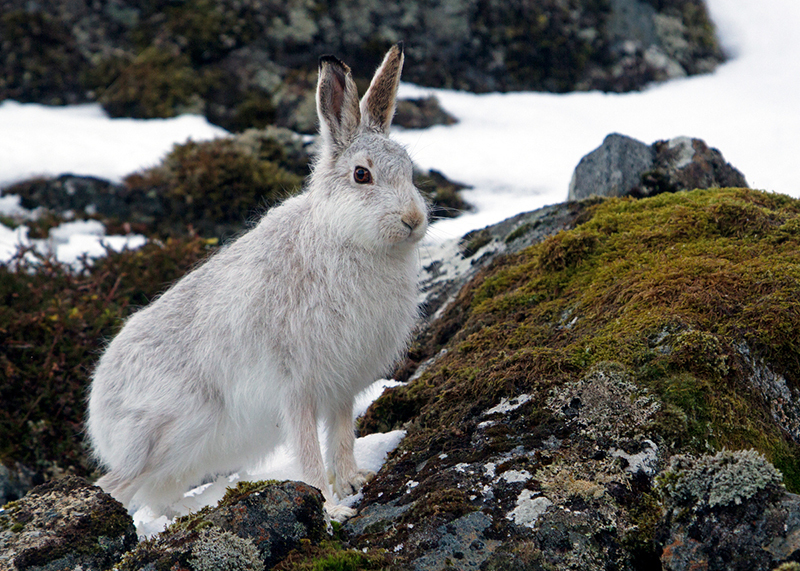 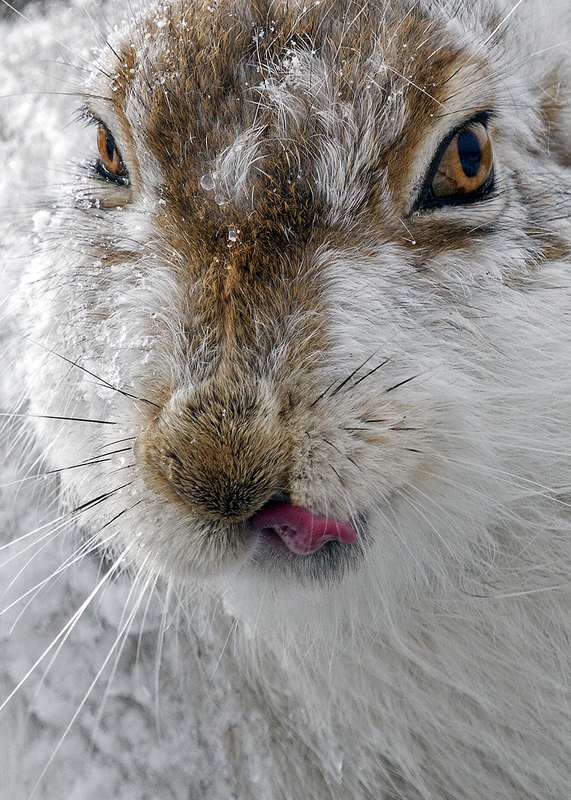 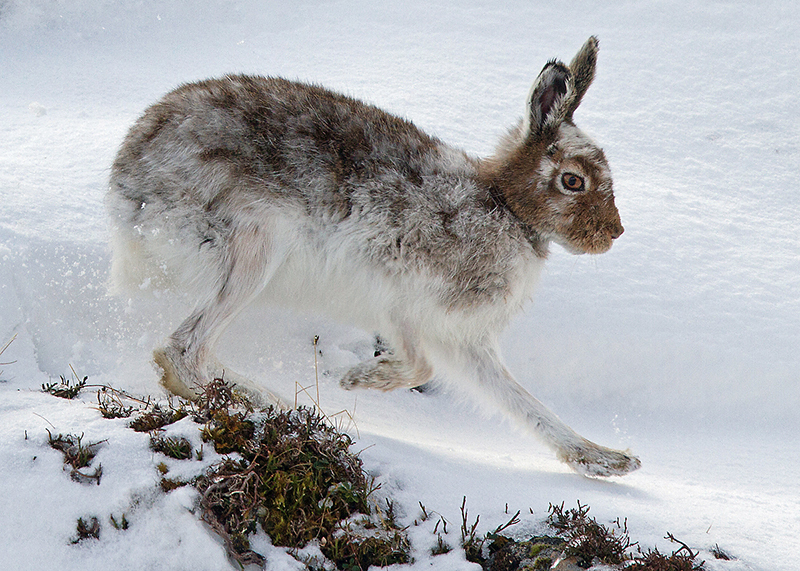 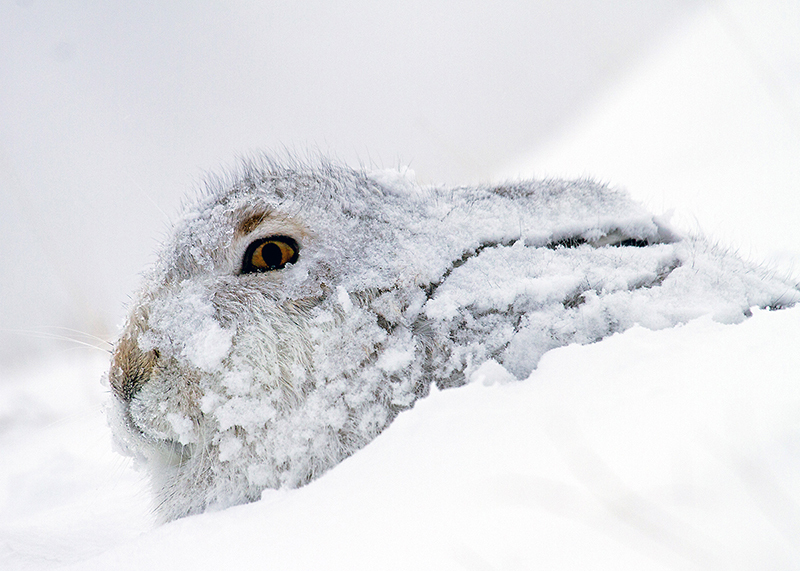 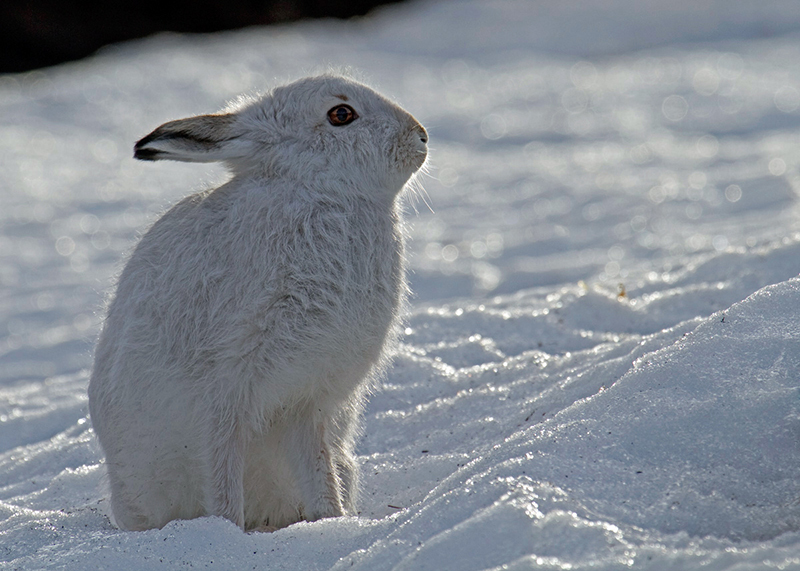 With temperatures equivalent to the Arctic you will get to experience these remarkable creatures in their natural environment and enjoy spending time photographing them along with other mountain species such as Mountain Hare and Snow Bunting. 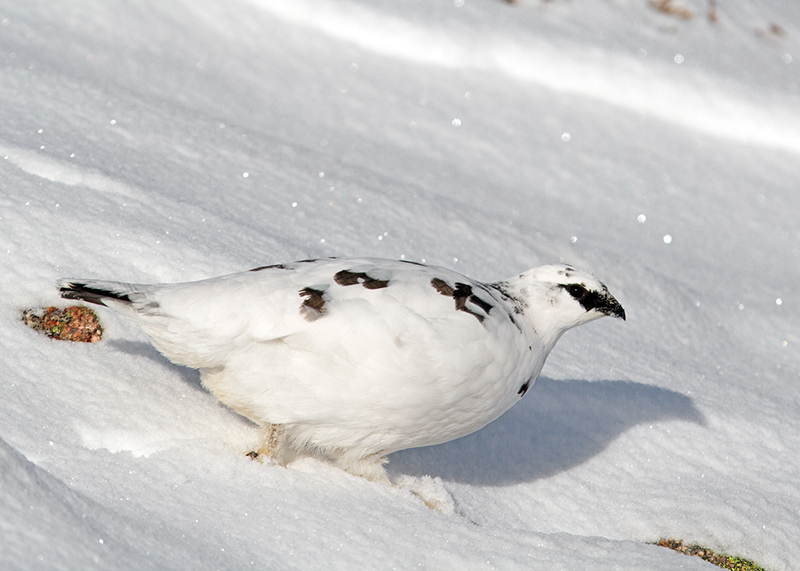 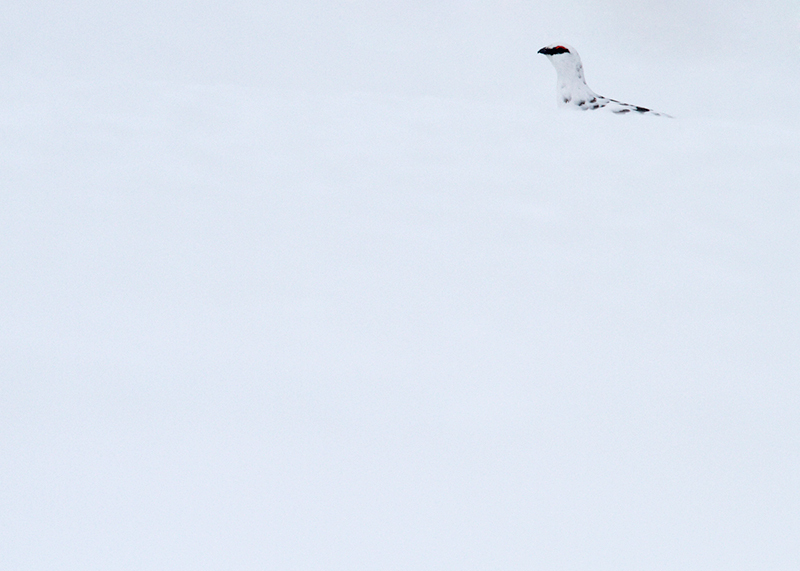 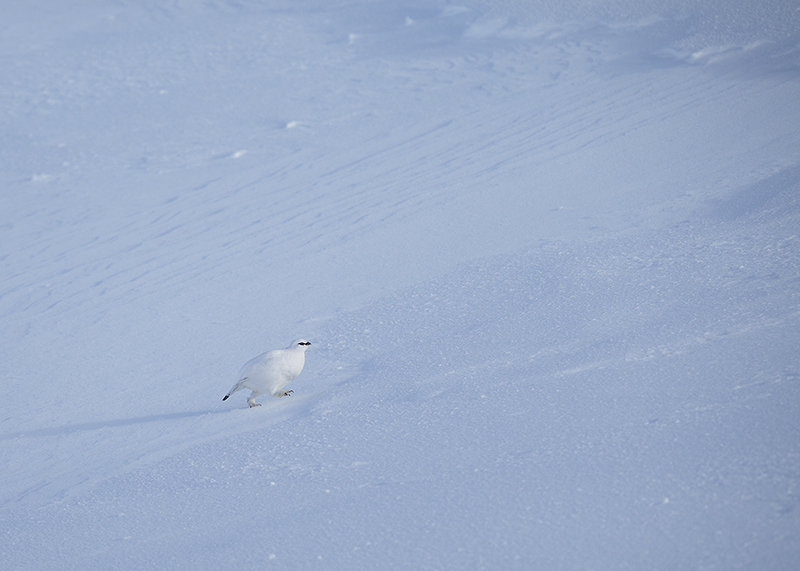 At other times of the year the Ptarmigan can be viewed in different plumages. 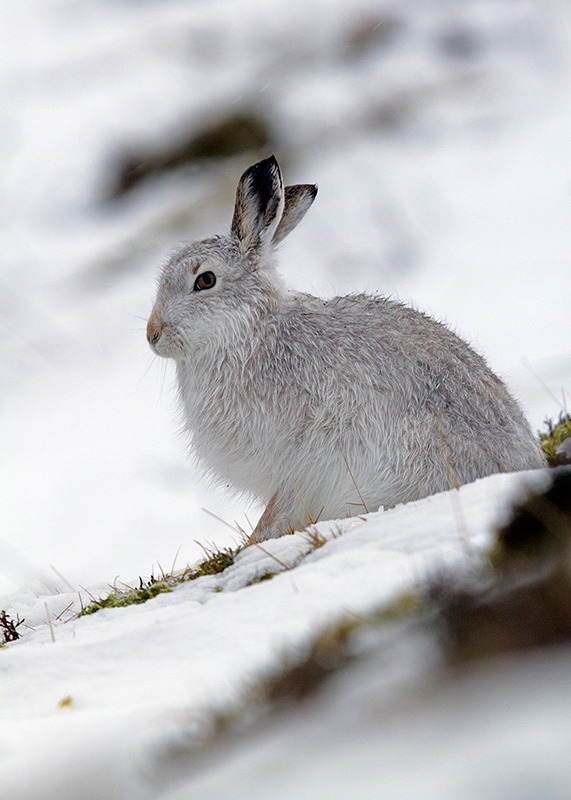 Winter in the Cairngorms is truly magical with typically timid species becoming more tolerant as they focus on finding food. 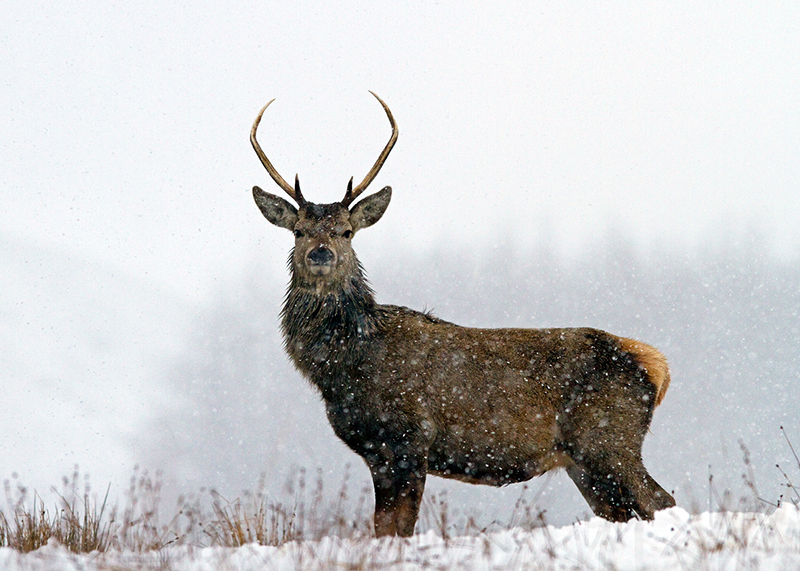 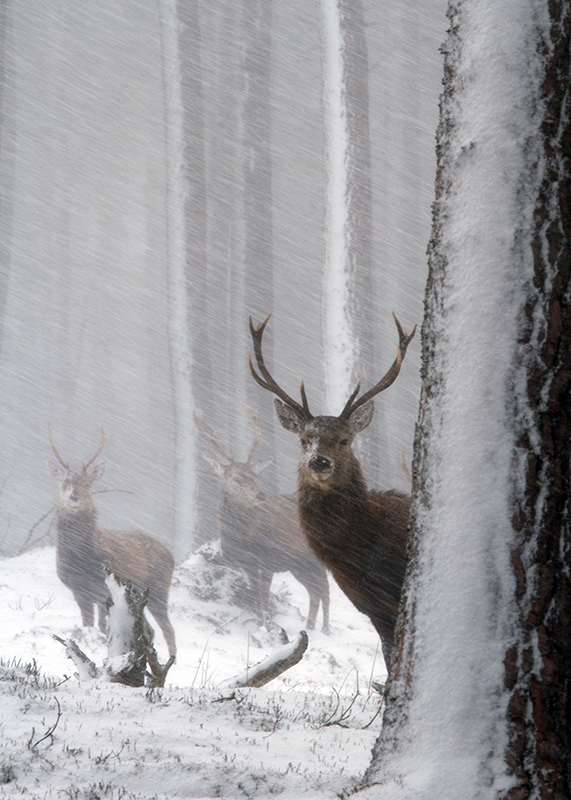 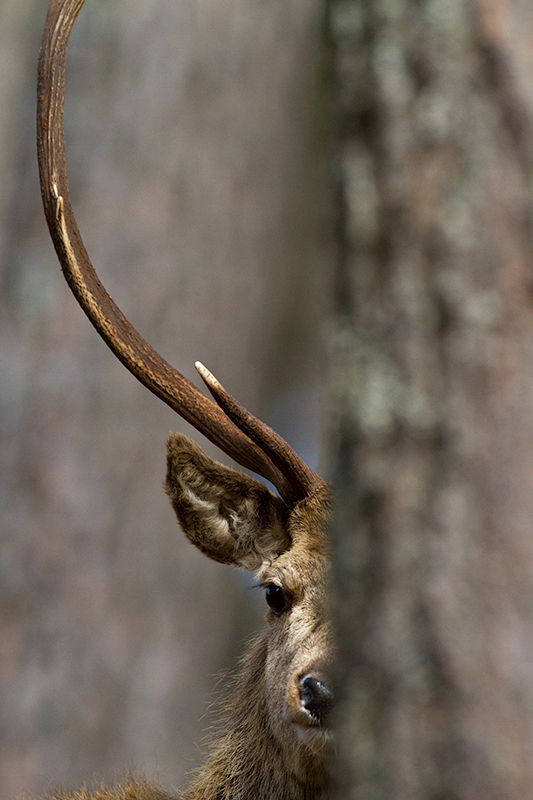 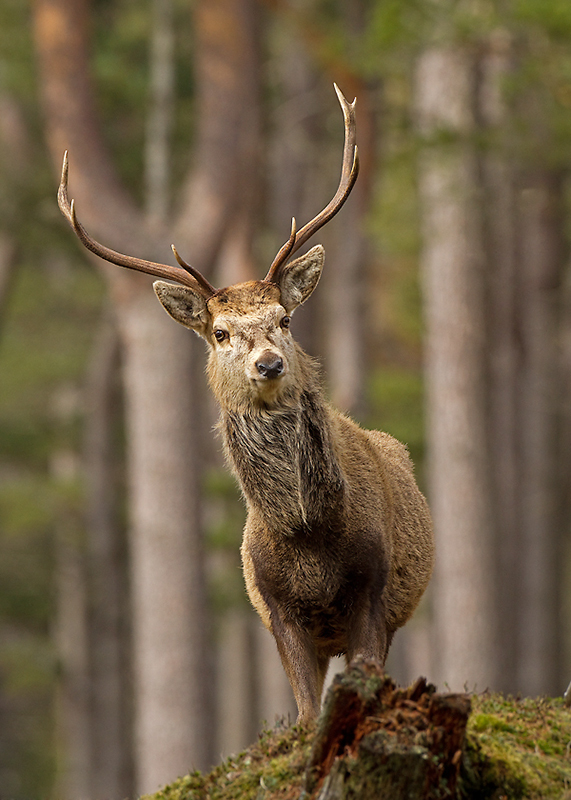 Red Deer, including powerful stags, come to a hillside feeding station to take advantage of the shelter in the Caledonian forests. 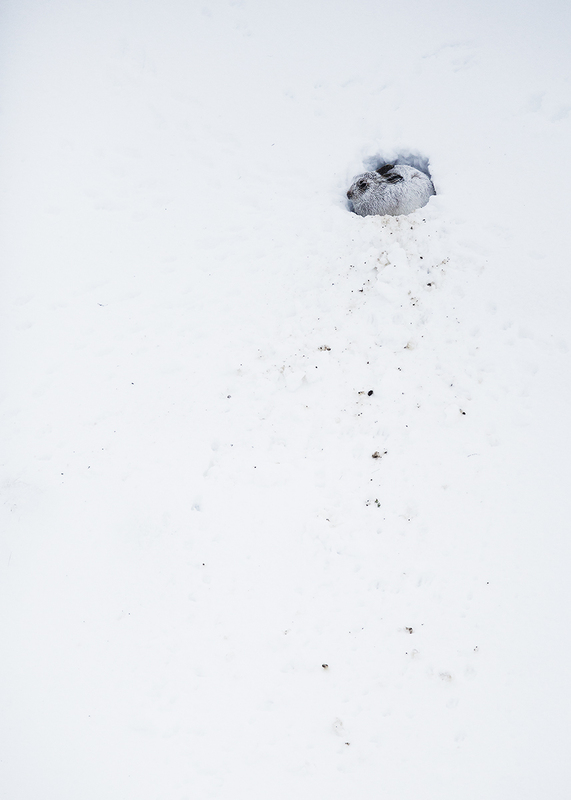 Join us as we head out in to (hopefully!) 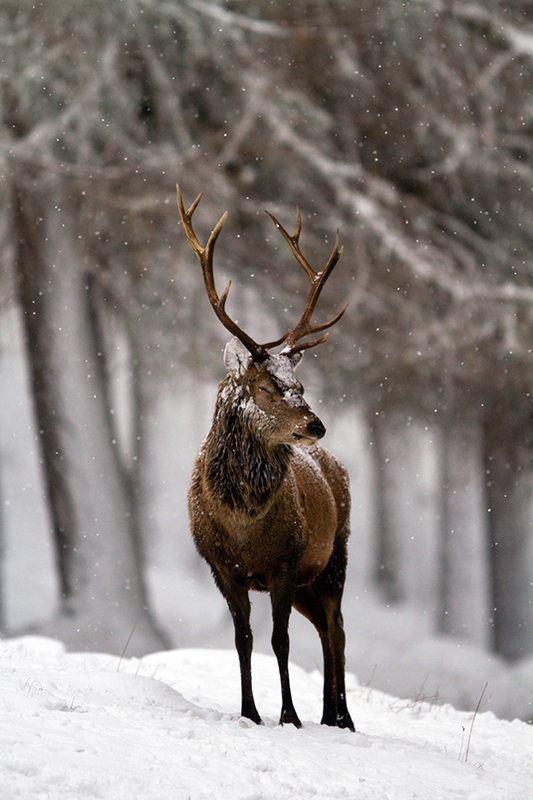 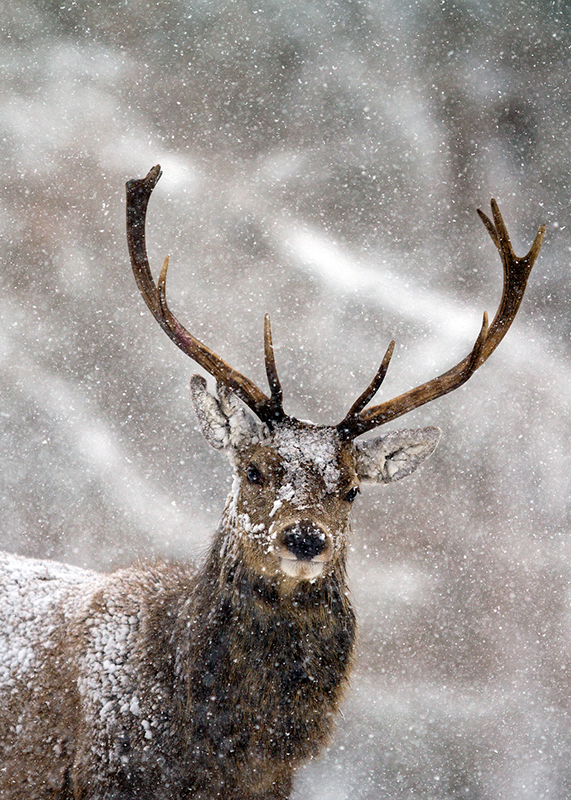 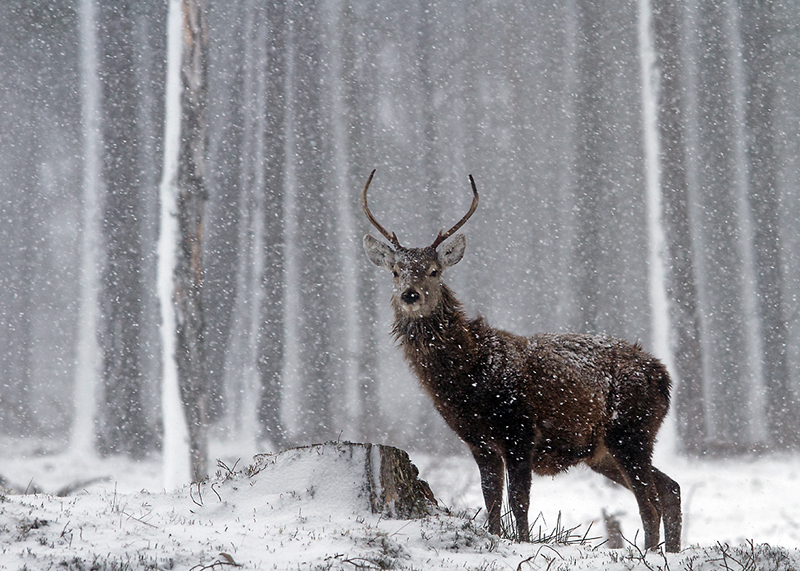 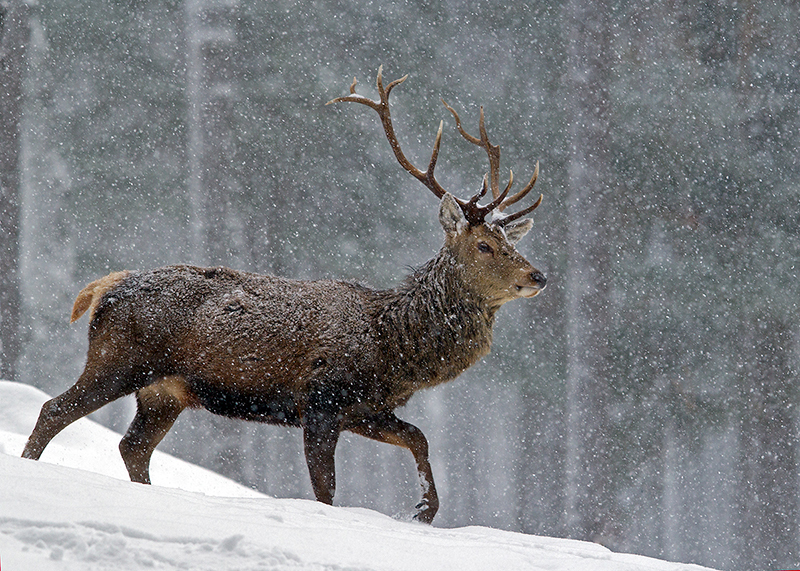 snowy landscapes by 4×4 to photograph these majestic animals. 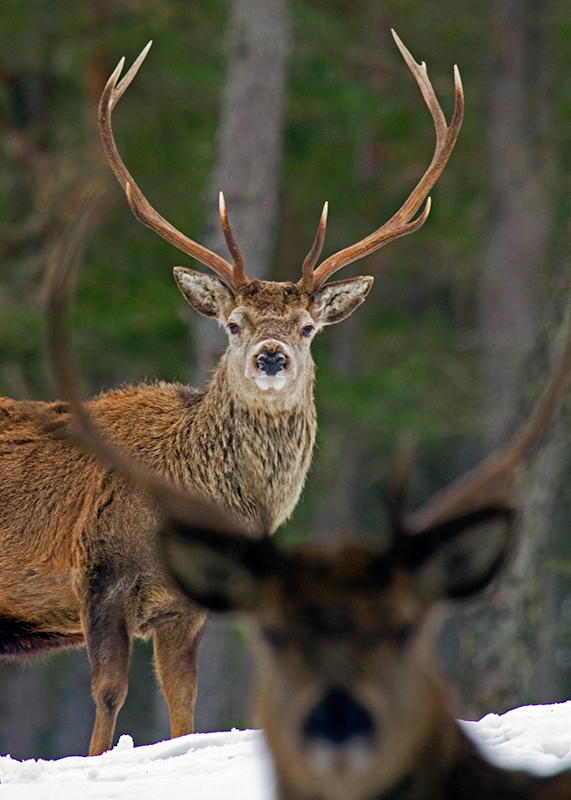 These are wild Red Deer, however be prepared to get very close! 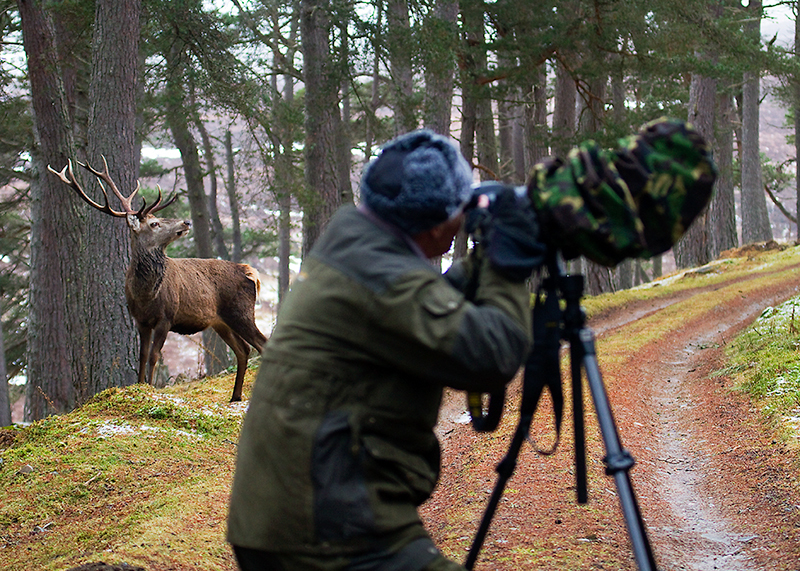 The workshop takes place on a private Highland estate so you will have time to get the shots in the peace and tranquility of a magical location. 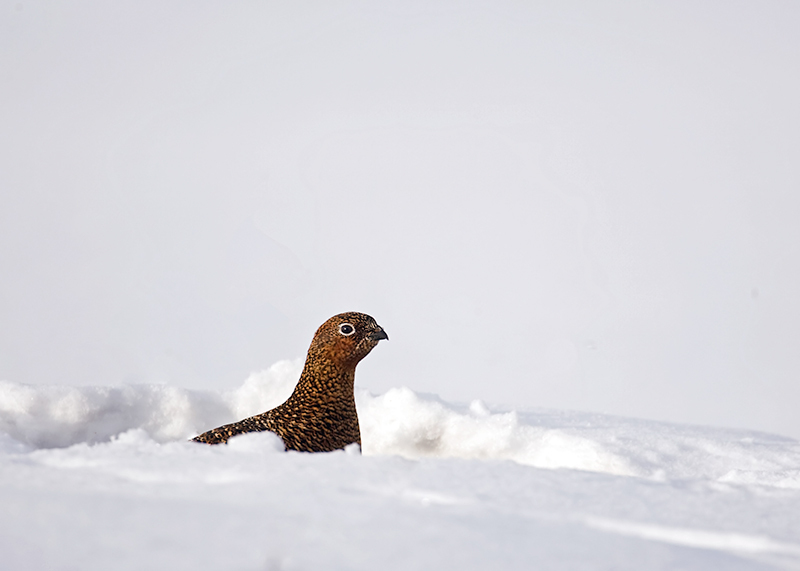 In the morning we will spend time locally photographing at another location where we will photograph a selection of Red Squirrel, Red Grouse, Whooper Swan or Snow Bunting depedning on recent sightings and the time of year.